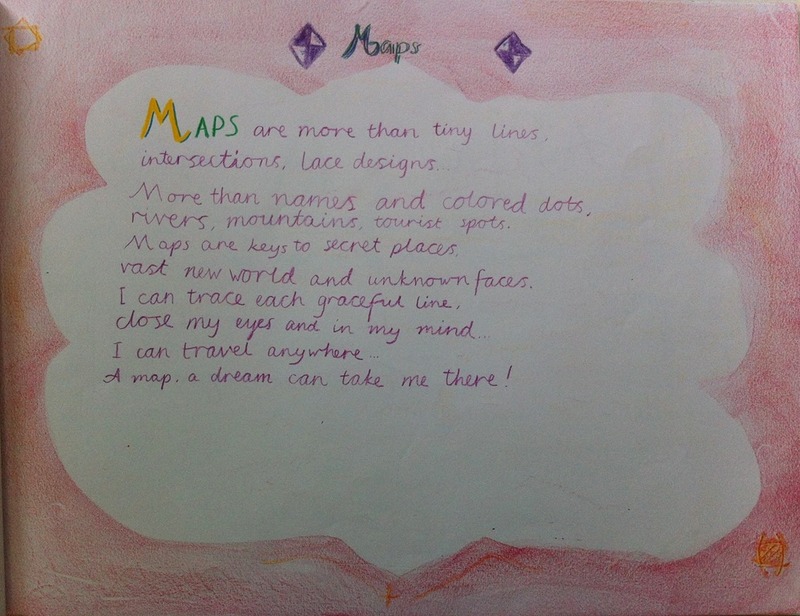 Many years ago I adapted some common songs in order to help my children learn their times tables. My daughter has recorded these songs, and I am making them available for sale. 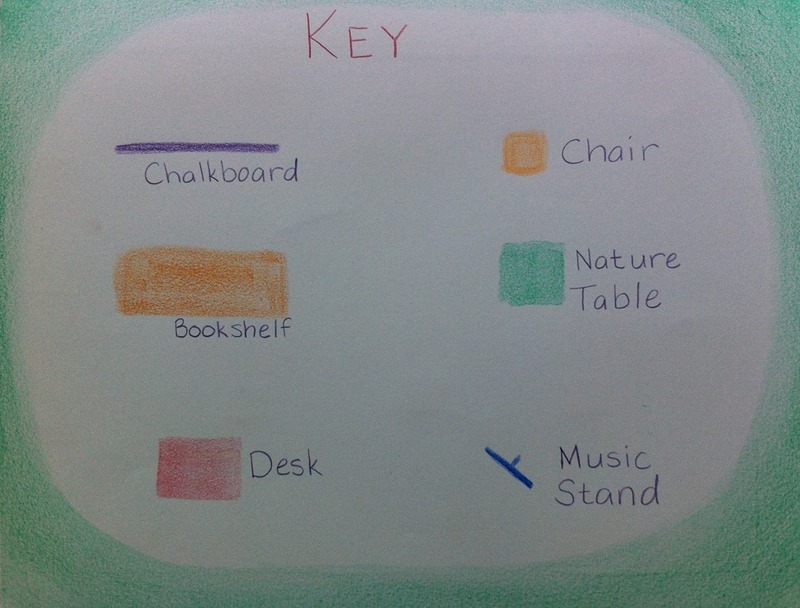 I always try to start off our year with a form drawing block. 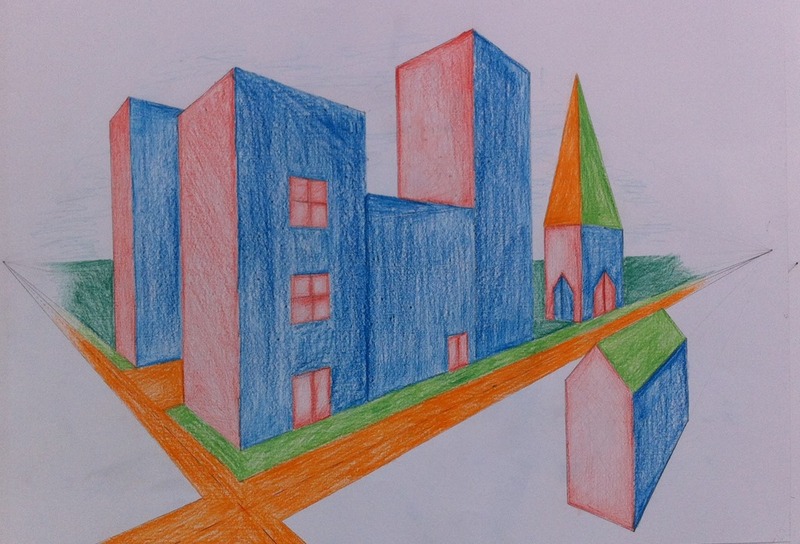 In fifth and sixth grade, the form drawing blocks became geometric drawing blocks. 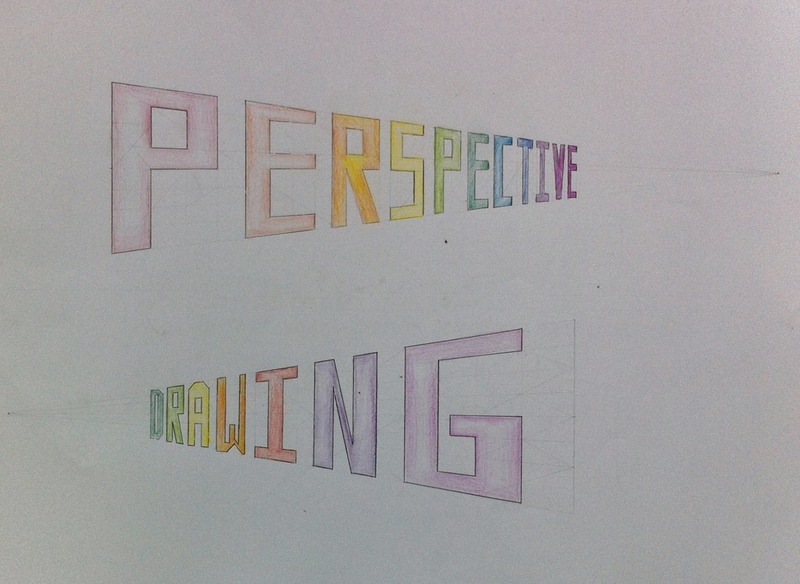 Now in seventh grade, we began the year with perspective drawing. This was a three week block. I love to begin our year with this kind of a block for a few reasons. First of all, the preparation is not too stressful. It can be a little time-consuming (what isn’t? ), but the preparation is a lot more straightforward than history, grammar, or geography. 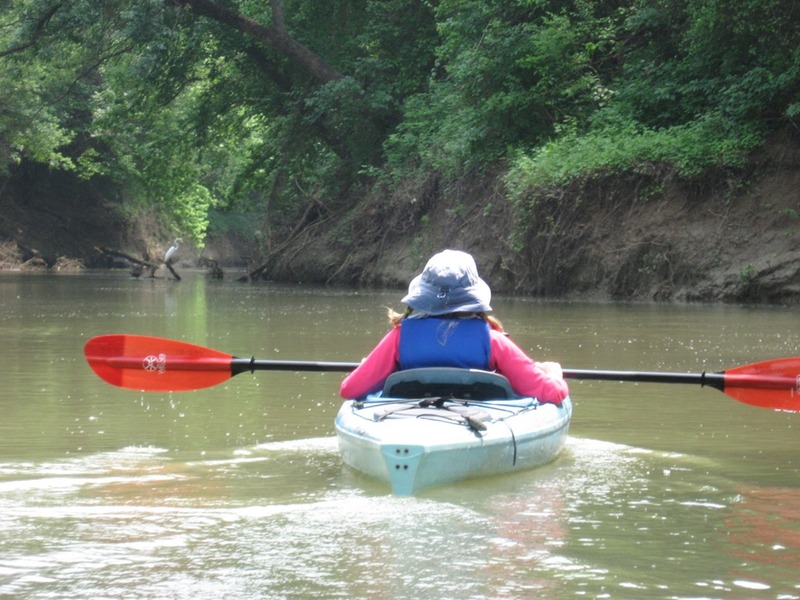 It also seems nice to transition from summer into school with something that is not too academically stressful for the child, and yet it gets her mind and body back in that motion. 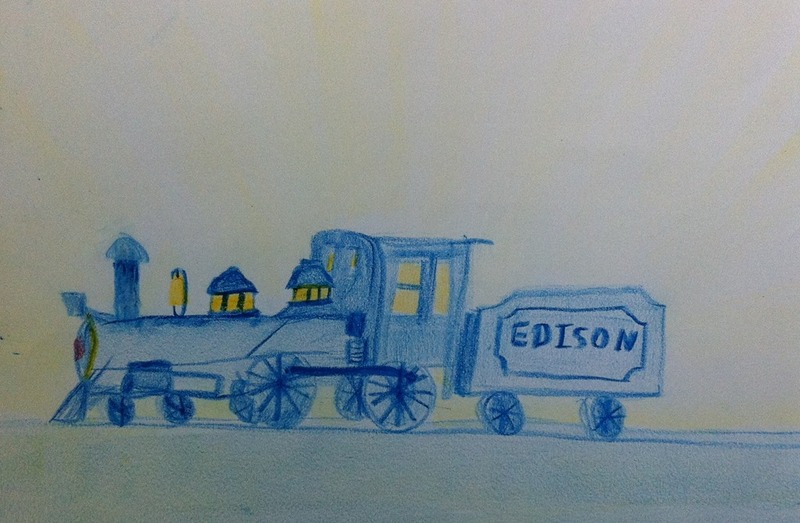 Of course, this all depends on how the child feels about this kind of drawing! 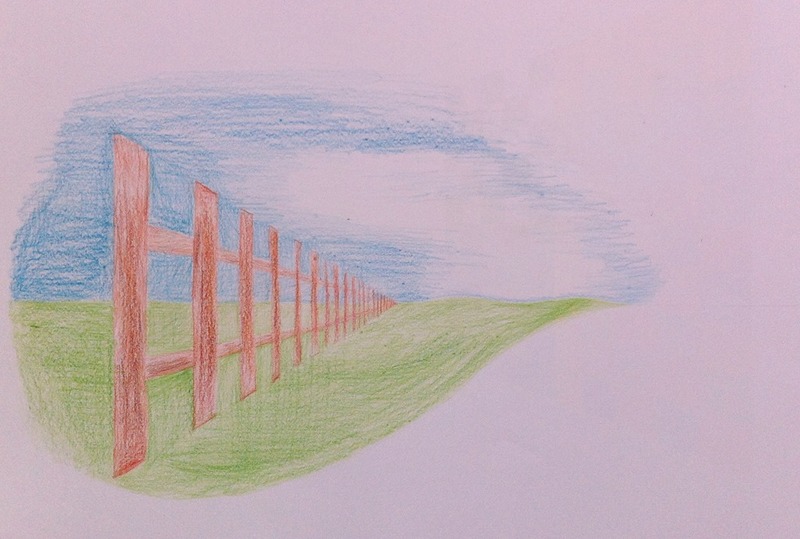 Perspective drawing is important for the seventh grader for several reasons. I won’t go into too much detail here, as I really like to get to the drawings! 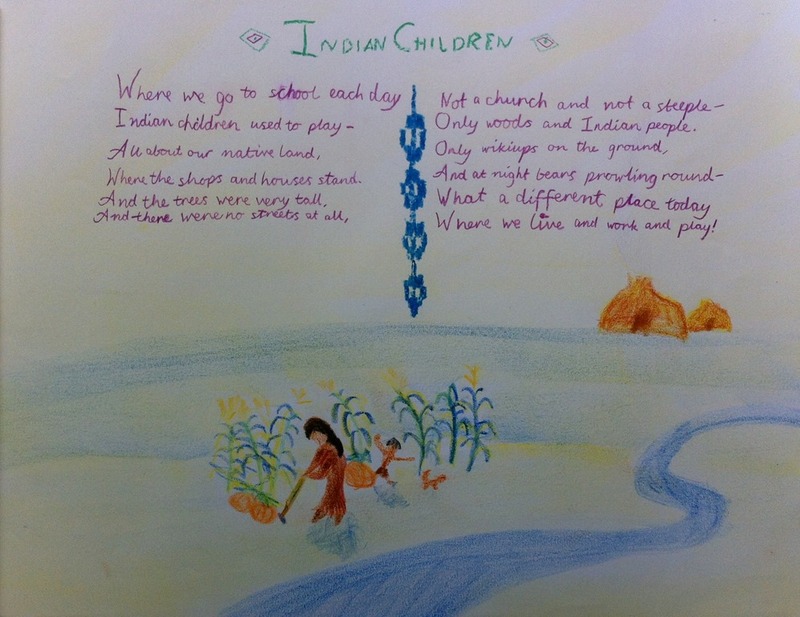 The children have drawn in a two-dimensional style for the entirety of their grade school lives. Now, they can finally learn to draw their world as they see it. Grade seven (age thirteen) is the perfect time for this. This is very exciting… very grown-up! 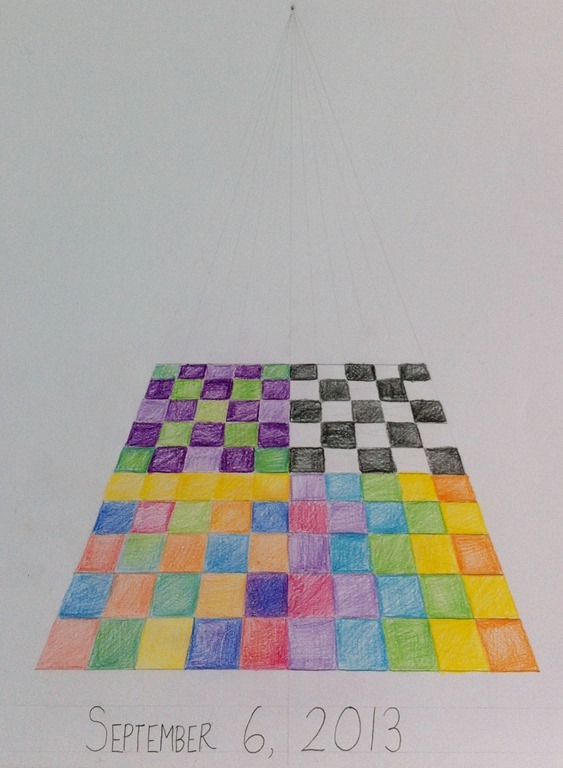 We will also be studying the Renaissance this year… the age in which the laws of perspective were finally discovered, so it all fits together beautifully. 1. 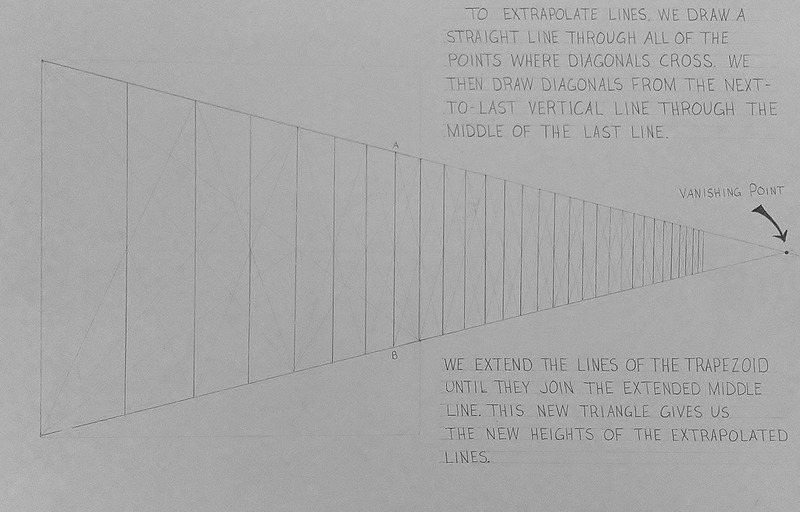 Drawing Board – I bought a few sheets of pressboard at Home Depot, and stuck some of those little rubber feet on the bottom to make them tall enough to accommodate the t-square. These boards were only a few dollars each, so it was very affordable. I thought about buying these drawing boards , since they are simply wonderful, but I decided to go with the cheaper option. 2. 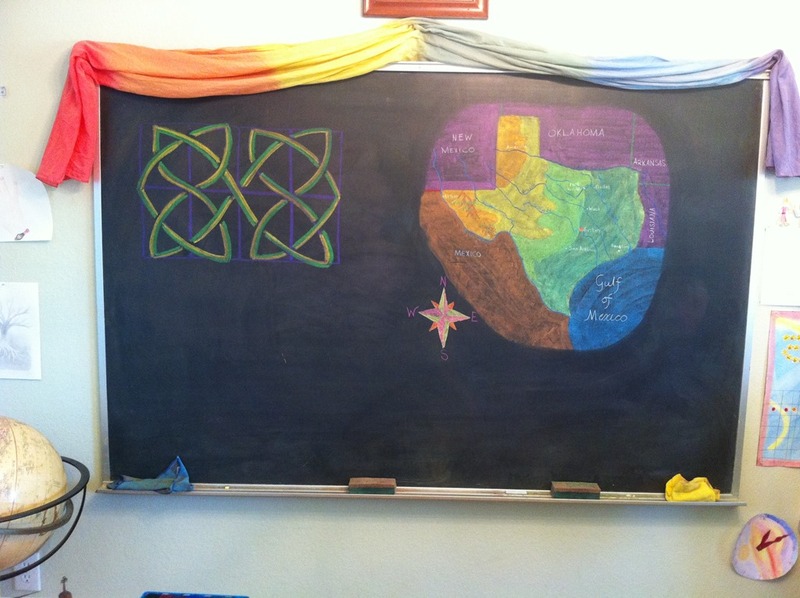 Speaking of the T-Square… we used the 24” Staedtler. Very sturdy, and we have not had any problems with them. 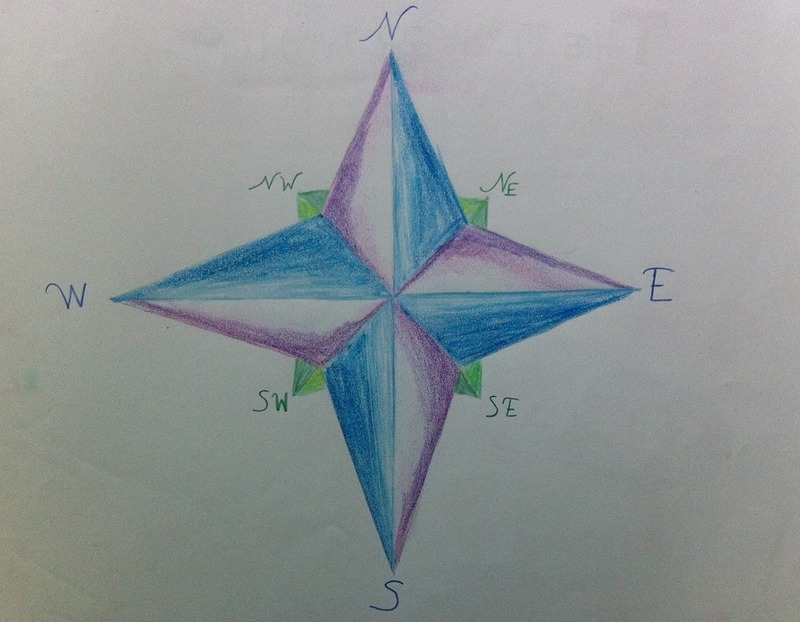 It is helpful to have T-Squares that have those clear edges. Staedtler T-Square Wood 24 in. 3. Clear Acrylic Triangles – I found that the 12-inch 30/60 degree triangle worked well. 4. 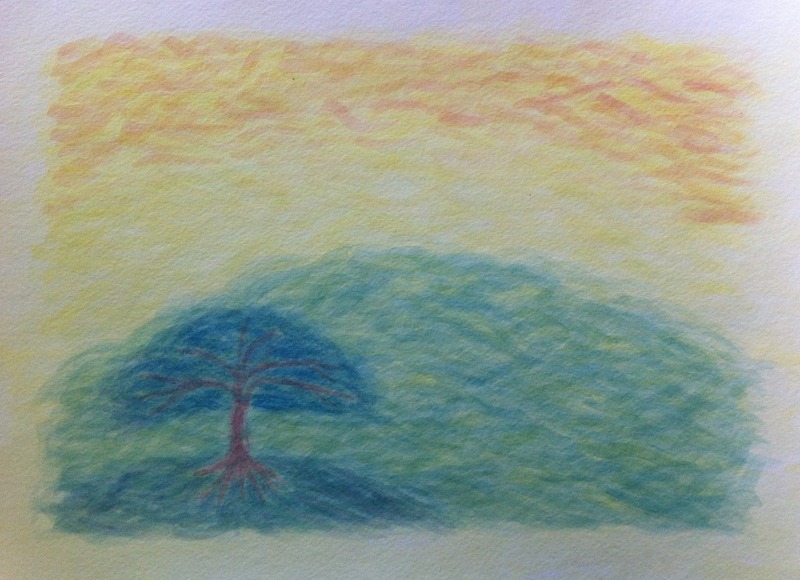 Pencils – 4H (hard, for the light ‘helping’ lines), and 2B (soft, for the darker lines). I bought these at Hobby Lobby, I think. 5. 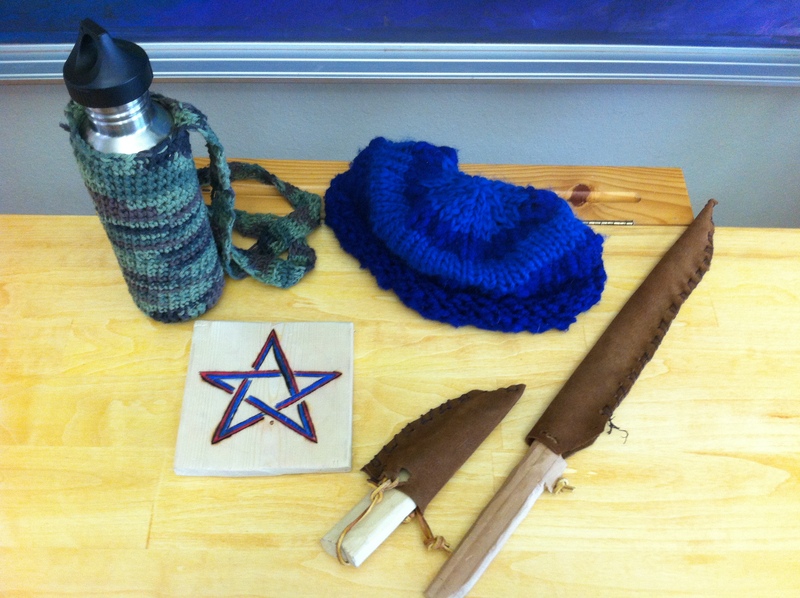 Erasers – We used kneadable and the Tri-Tip. 6. Dry Cleaning Pad – Used to make erasing easier, reduces smudging on paper due to the movement of the drawing instruments. 8. 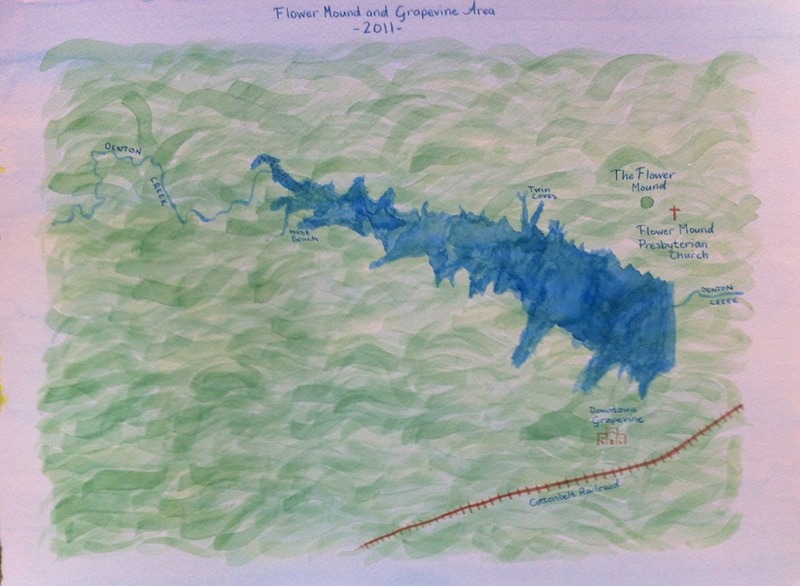 Nice Drawing Paper – 18” wide. 9. Long Metal Rulers – 18” long. Yes, that is a long list, and we needed two of everything except for the dry cleaning pad. 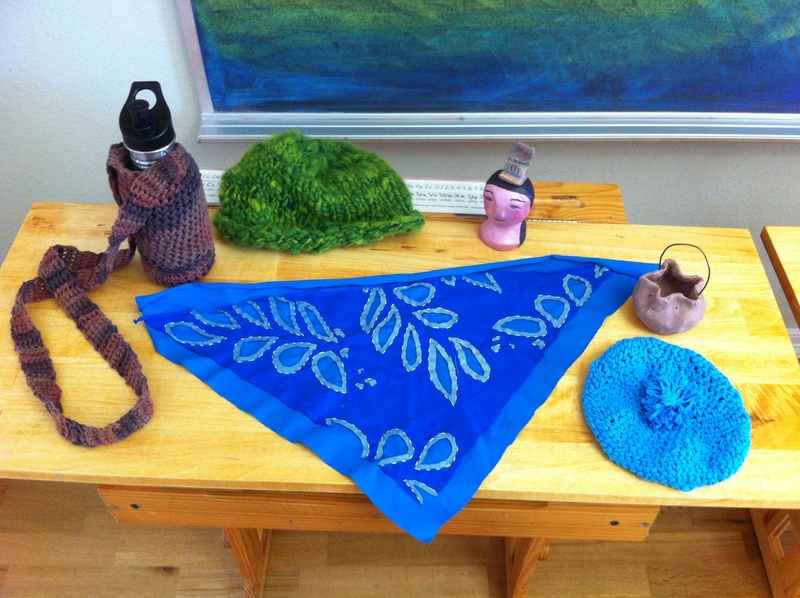 It was expensive, but all of the items are used for geometric drawing in sixth grade, plus many other projects. I have regretted many purchases in my life, but rarely do I regret quality art supplies! As usual, most of my lessons came from Eugene Schwartz’ Grade Seven Conference lectures. 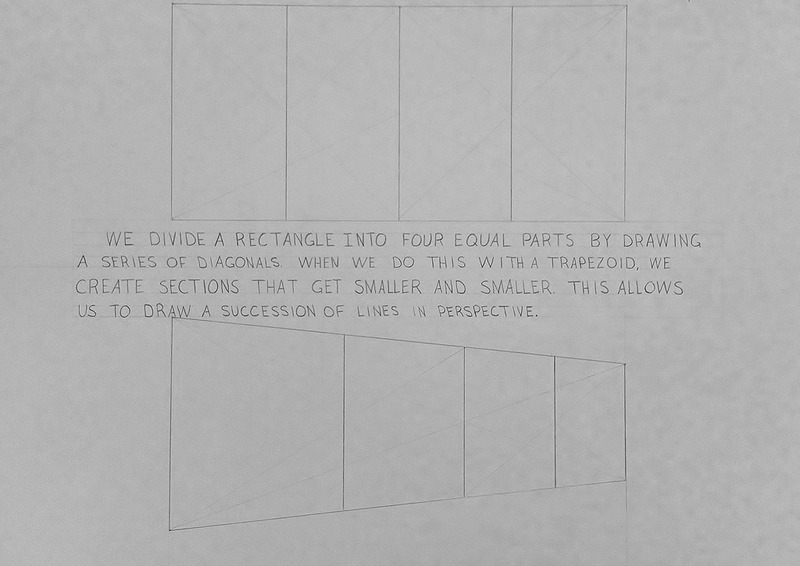 For perspective drawing he has included helpful step-by-step videos that explain how to do most of these drawings. 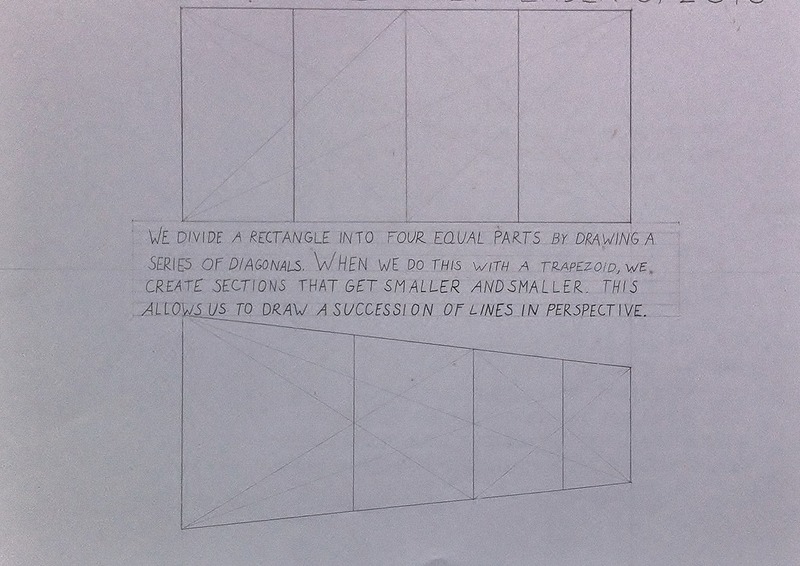 I know it is hard to see our ‘helping’ lines, as they are drawn with a very light 4B pencil. I tried to decrease the brightness to make the lines more visible. We began the first day by dividing a rectangle into four equal parts, then we divided a trapezoid in the same way. Look at that perspective! Magic! 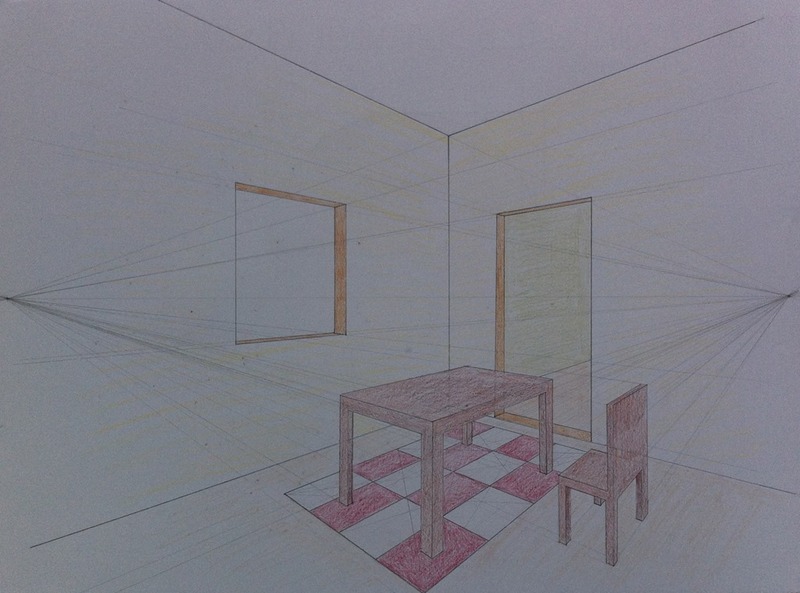 The next day we learned how to ‘extrapolate’ the perspective lines to a vanishing point. Now we could finally make something! 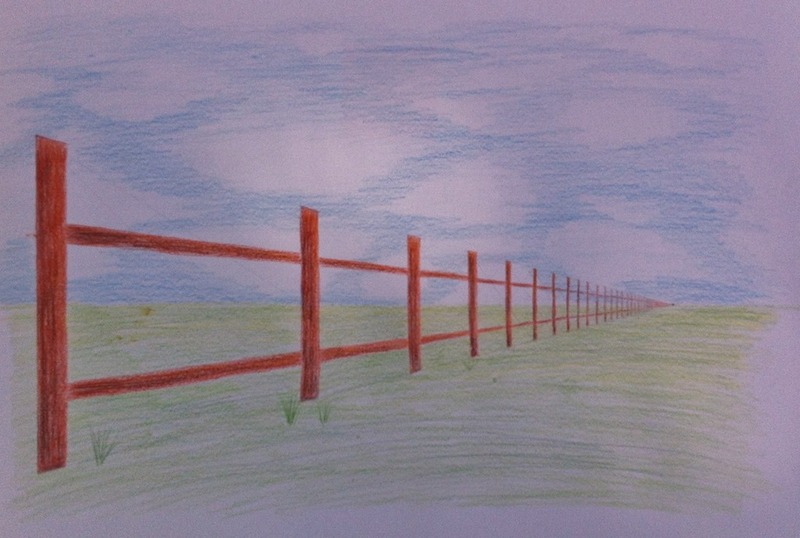 Eugene suggested making something very simple, so I decided on fence posts. My daughter thought that making the lockers from our local community center would be fun too. 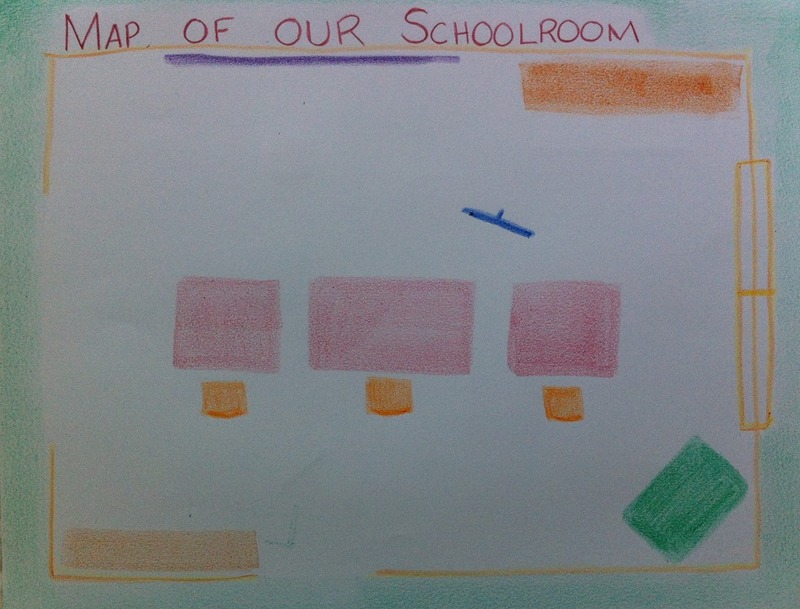 Then we turned our paper, and, we made a tile floor. The first line on the bottom is 10 inches long. We used a ruler to divide it into 10 inch segments. 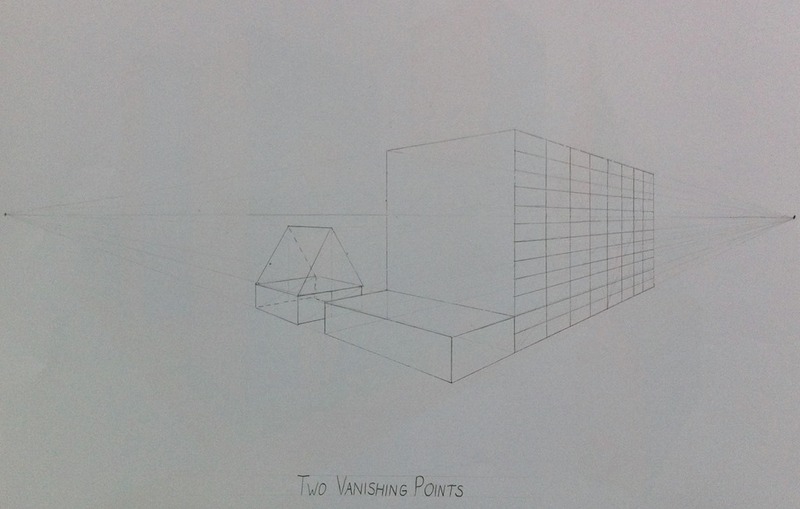 Each point was connected to the vanishing point. Then we measured one inch up from the first square, and extrapolated until we had 10 rows. 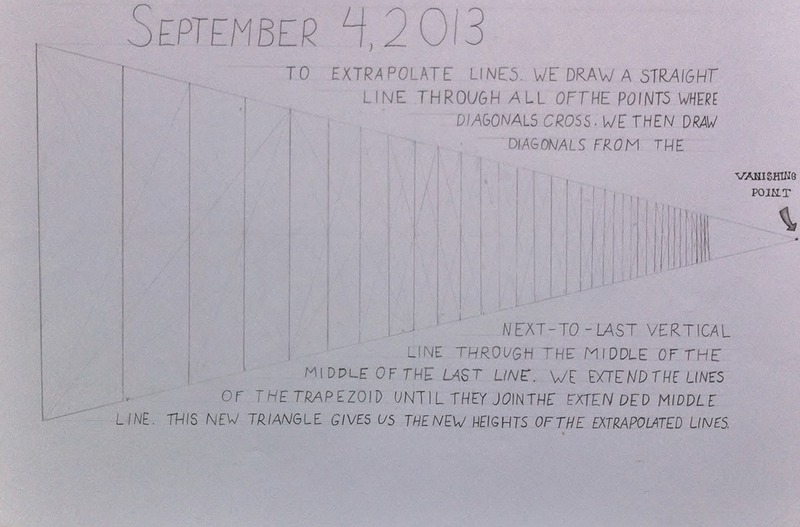 If you look very closely, you can see the helping lines reaching to the vanishing point at the top of the page. 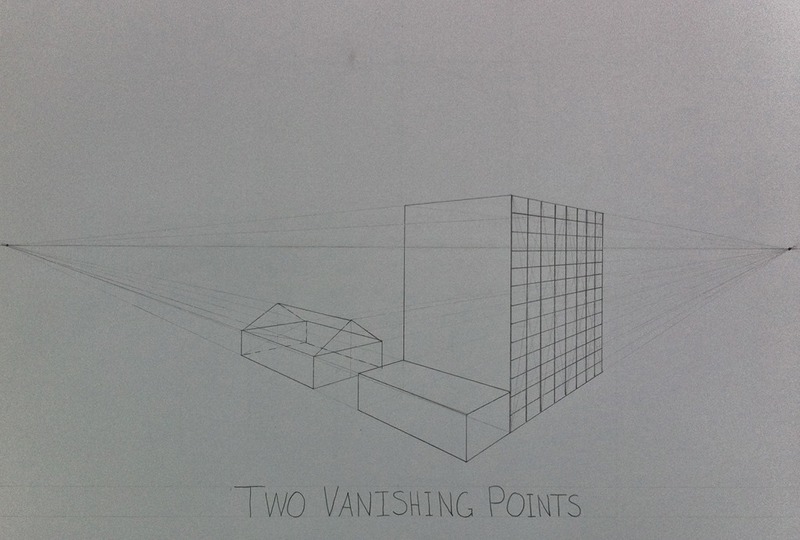 The next step was to create two vanishing points and make some 3-dimensional boxes. Then we could take that one step further and create some buildings with windows. I also introduced the gabled roof at this point. 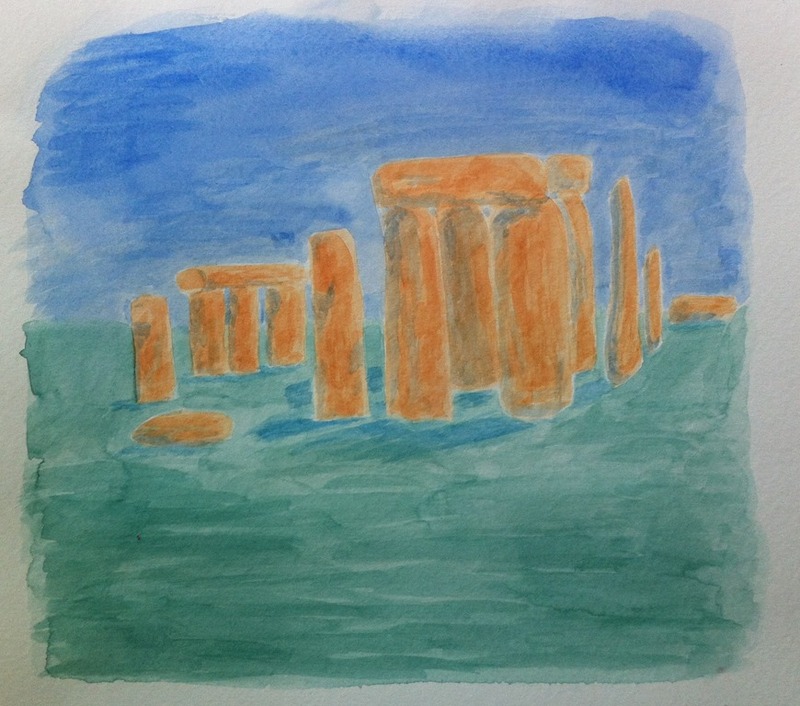 Now she had the tools to create a cityscape. I think this was her second attempt. 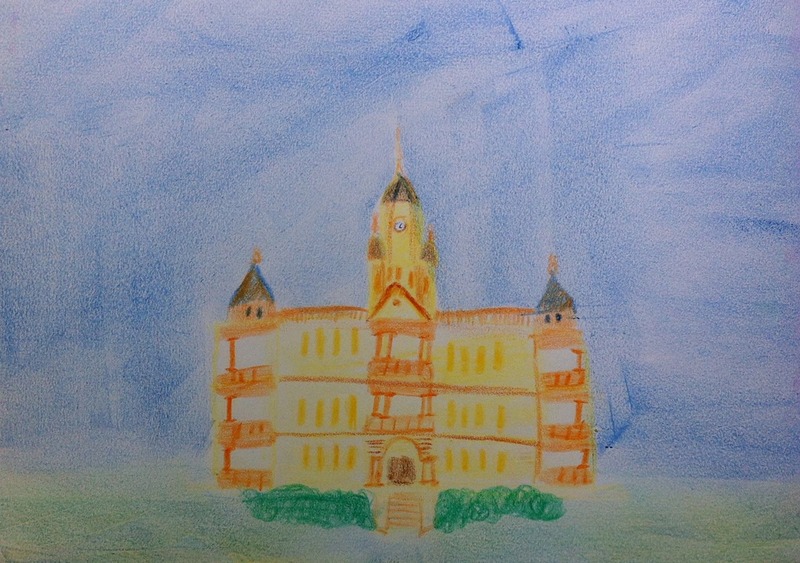 The first attempt had such a large building in the front that there wasn’t much room for anything else. I love how this one turned out. I think the colors are great fun. Notice the windows and doors… they are all in perspective. 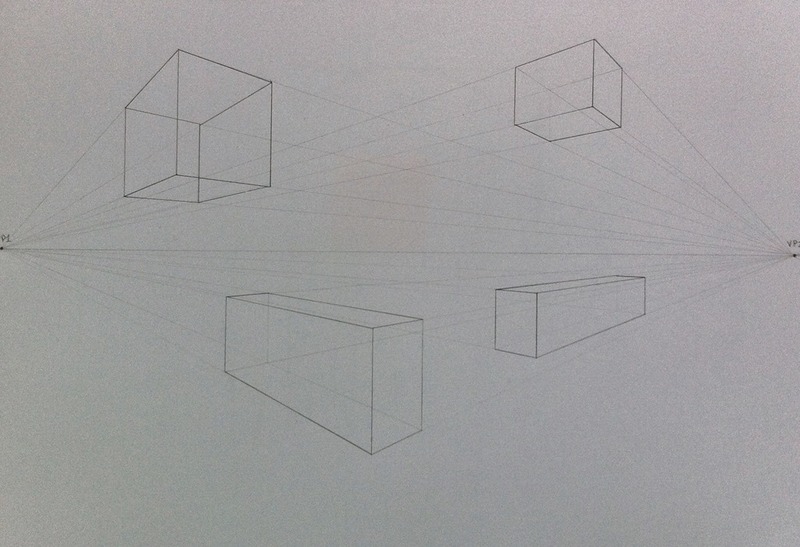 Everything in these drawings is drawn in perspective. This drawing is supposed to be technical. 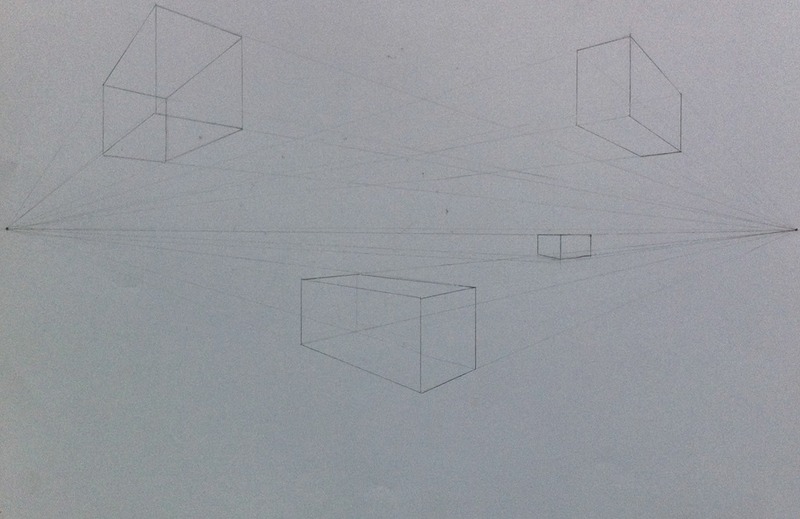 We will sketch in perspective later in the year, but this block is really more about the mathematical and geometrical laws of perspective. An interior space. 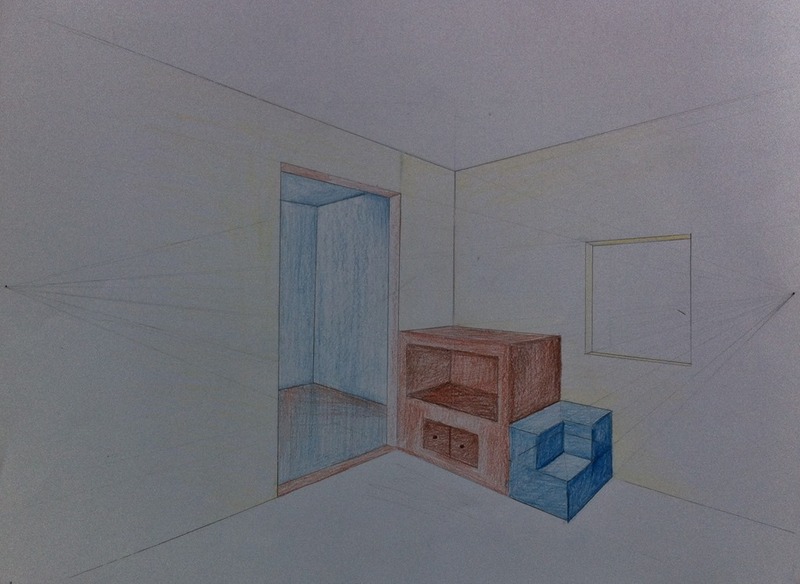 This is interesting, because the perspective for the inside walls is opposite of the boxes and cityscape. The furniture is done in the same way as the boxes. We enjoyed showing the adjoining room… very satisfying! The perspective of arches is interesting as well. 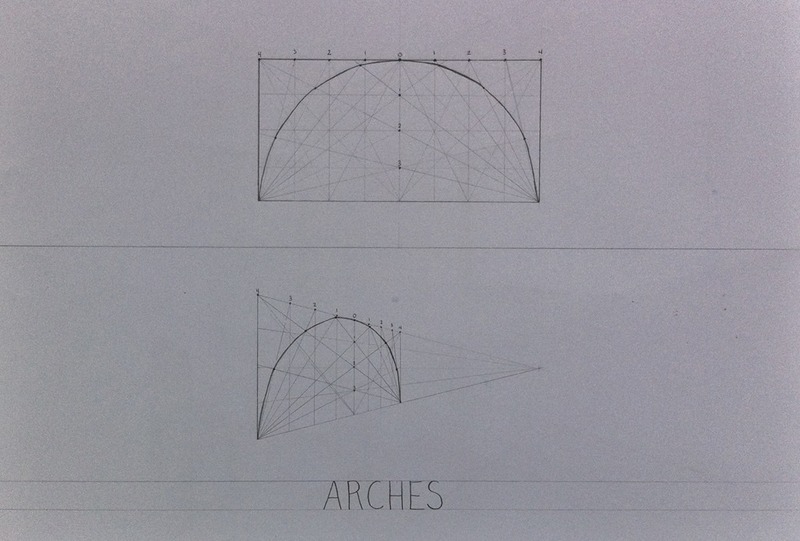 I saw several methods, but in Perspective Drawing by Baravalle, he describes the method that we used for making curves and arches. There are easier ways, but this one is more mathematical and precise than the others. 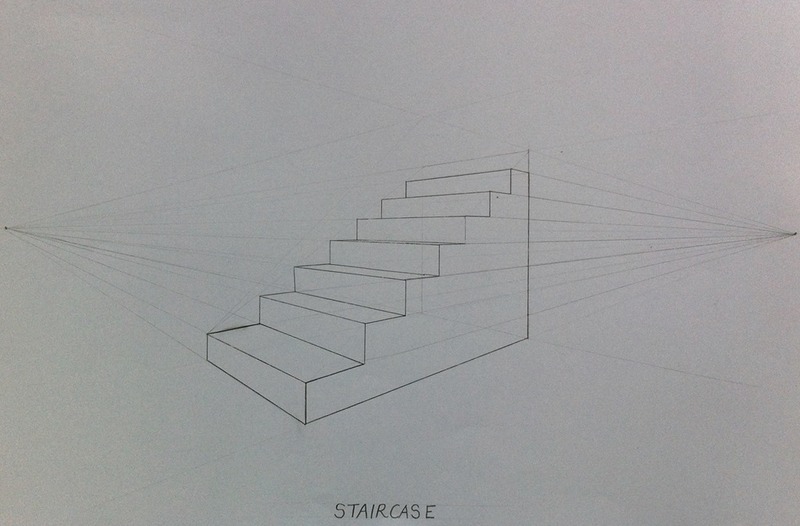 I tried my best, but I could not create a staircase with the Baravalle book. 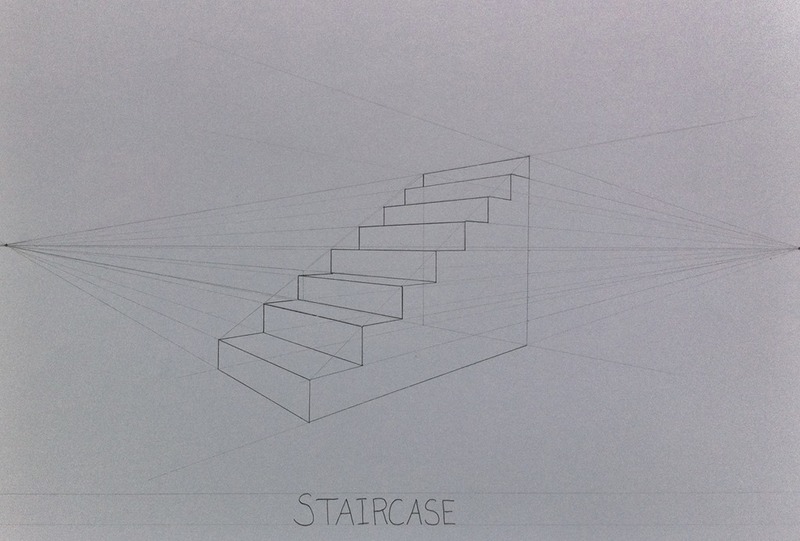 I was more successful with the directions from the Barron’s Perspective Drawing book. I bought this book, and I don’t really care for it, but the staircase worked well for me. It probably took more practice than any other construction, but it did finally become easy! 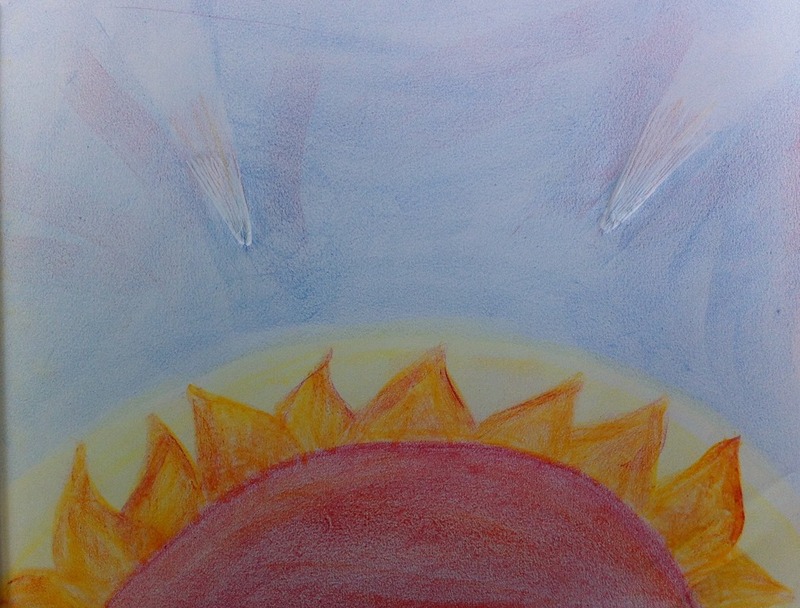 The last day was spent on the main lesson book cover, although it could have easily been two main lessons. Each letter is in perspective. She had to extrapolate the space for each letter, divide each space into four equal columns and eight rows, and then she could finally start constructing the letters inside those spaces. 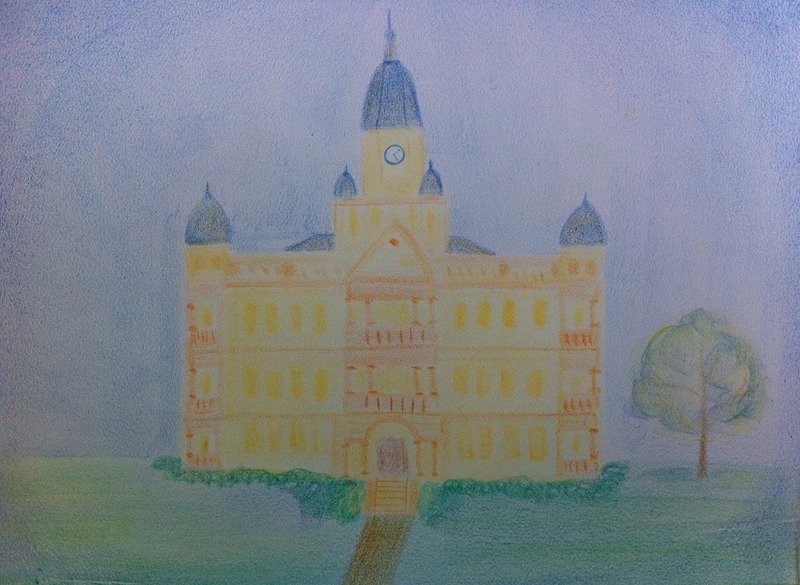 Perspective Drawing by Hermann von Baravalle is available at the Steiner College Bookstore. Eugene bases his lessons from this book. I found some of it a little hard to understand (like the staircase! 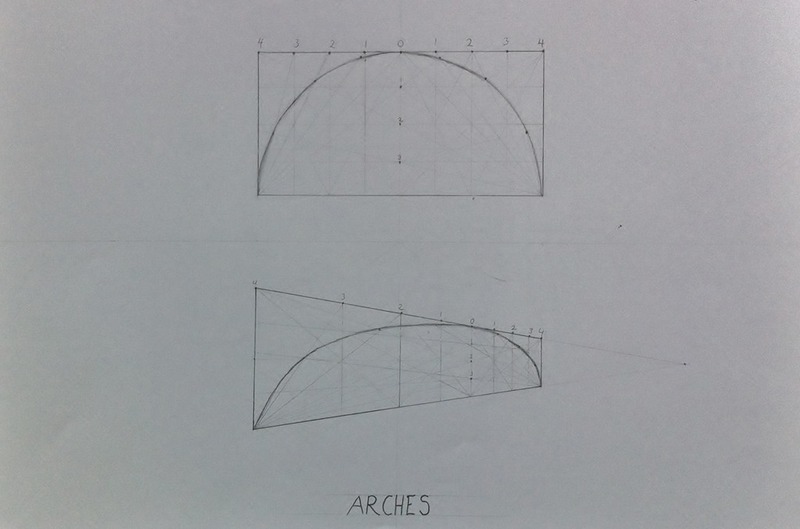 ), but I used his method of creating arches. 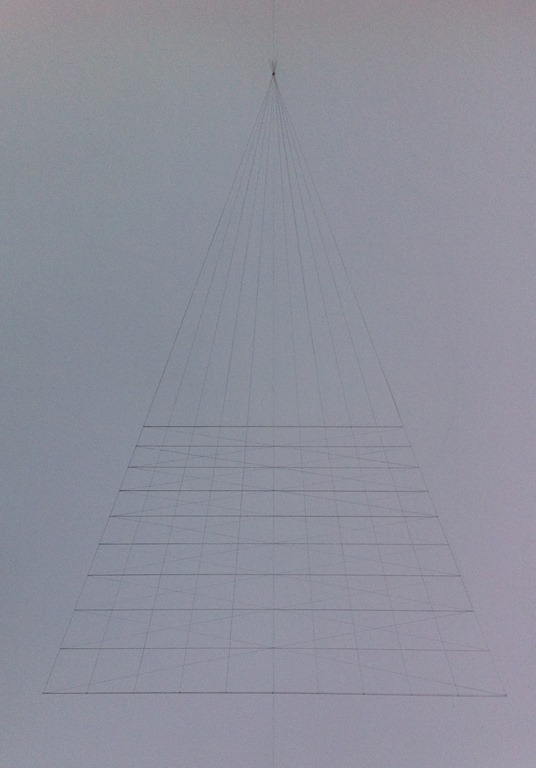 Perspective Drawing (Drawing Academy) was also available at the Steiner College Bookstore, so I bought it. I was a little disappointed though. Most of the exercises seemed rather randomly placed throughout the book and not explained clearly, with the exception of the staircase. 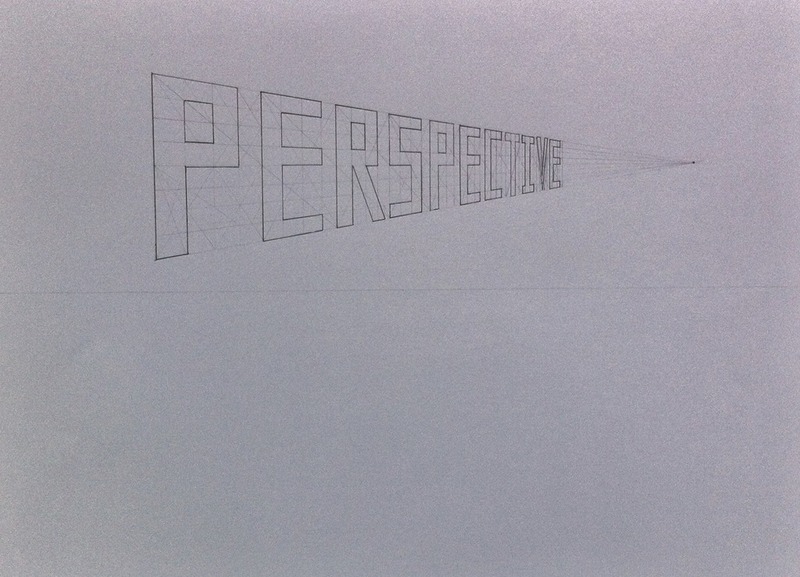 I checked out Perspective (Artist’s Library Series) from the library, but I am definitely going to buy it. I had to return this book to the library, and I am missing it too much! I think is a great all-around reference book for perspective, and it is something that we can use quite often. If you tried to reach my blog in the last few days, you received an annoying error instead. I contacted WordPress, and apparently their automated bots of some sort thought that I was spam, or a victim of spam, or something. At any rate, I am back! The beginning of the year has gone pretty well. 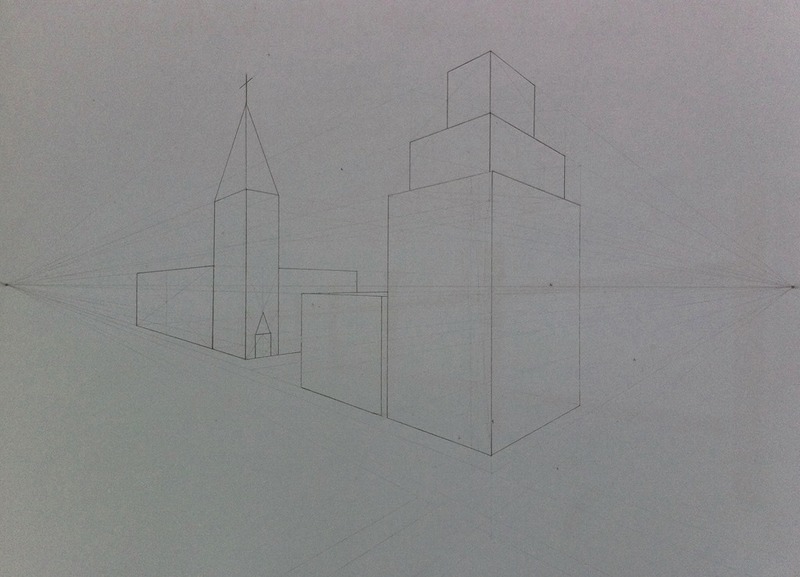 We finished grade seven perspective drawing, and we are almost finished with the Middle Ages. This week I will be teaching the adventures of Marco Polo, Dante’s Poetry (a bit, anyway), and the great artist Giotto. 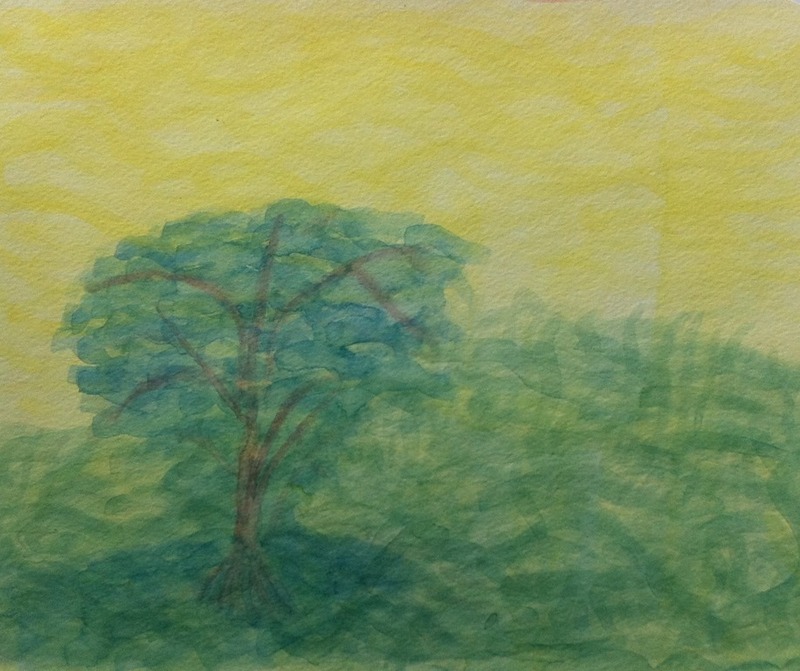 I finished the first botany block with my fifth grader, and we are just wrapping up a form drawing/mathematics block. We worked on braided forms which were not covered in fourth grade, reviewed math concepts from last year, and introduced ‘secret numbers’ and decimals. 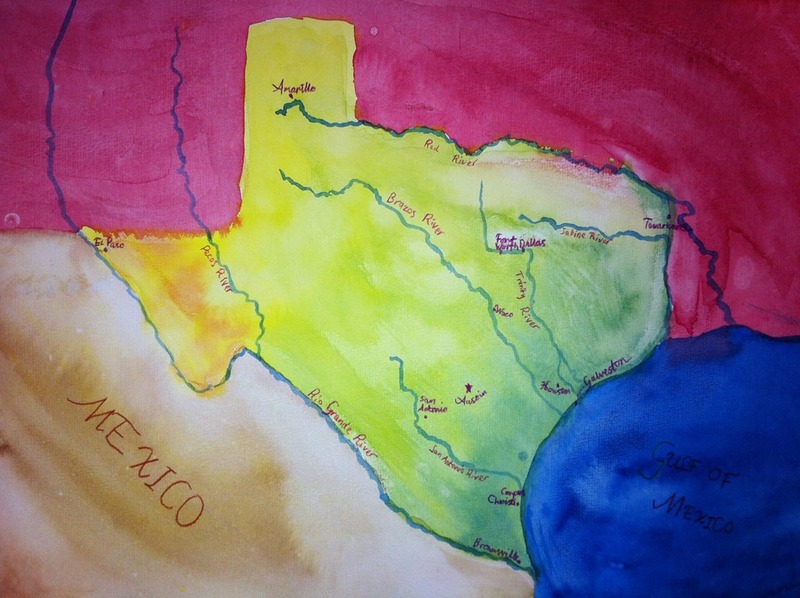 Next up… North American Geography. Uh, oh. 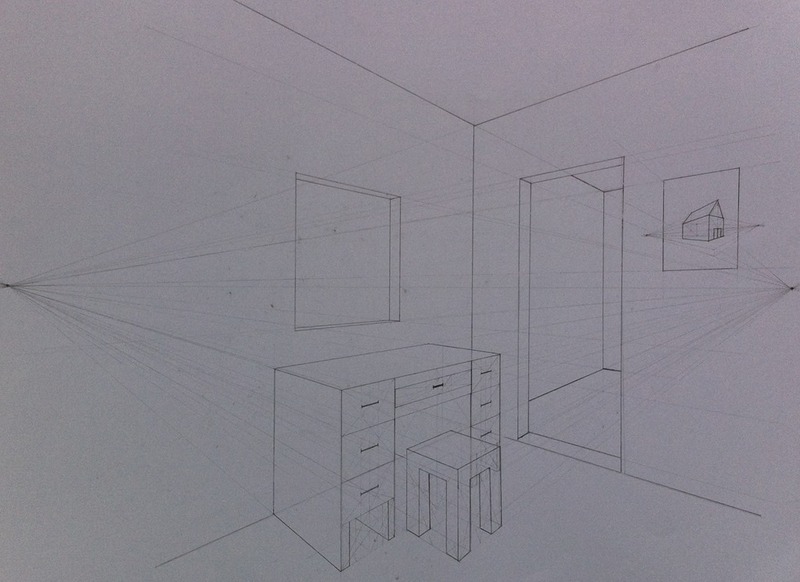 I started creating a post about perspective drawing, but unfortunately I was sidetracked. Hopefully I will have that up in the next week or two… assuming the bots don’t get hold of me again. 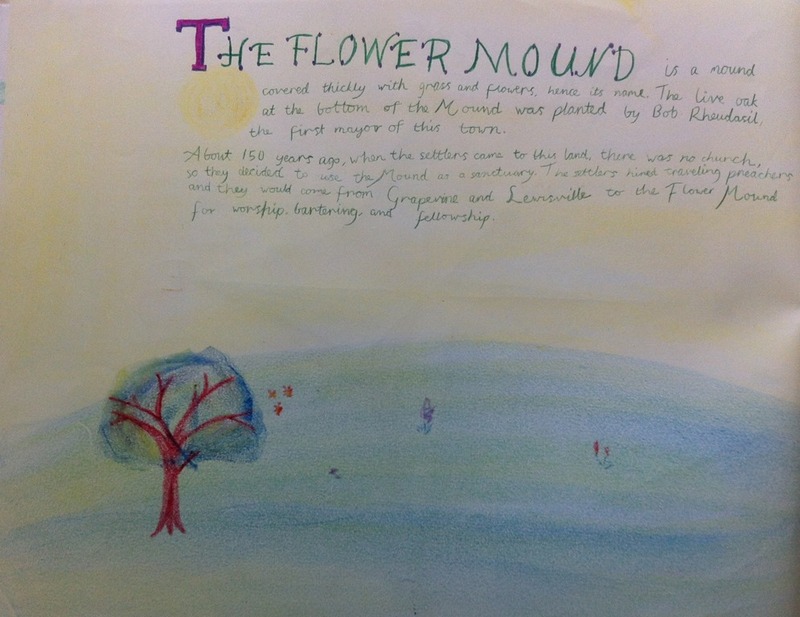 I don’t like the idea of posting without pictures, so I went through my files and found a couple of photos of my children’s handwork from last year. Lovely, no? 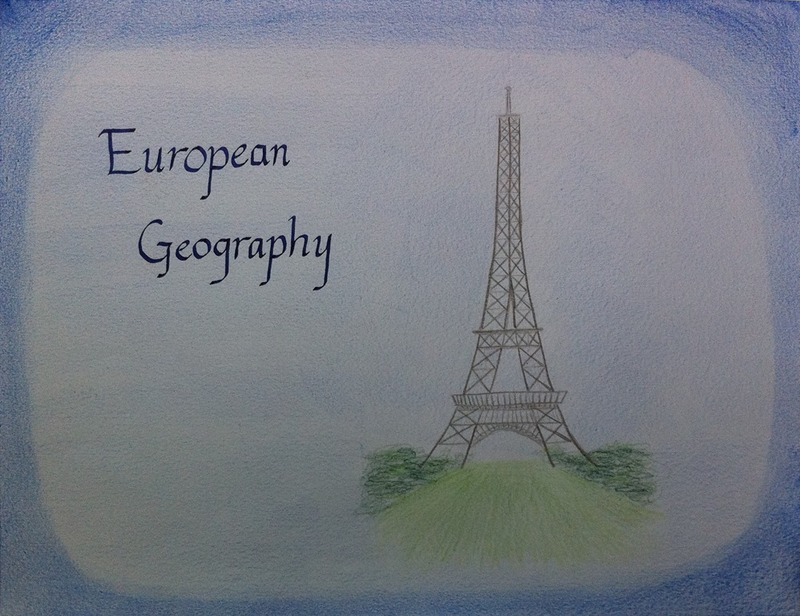 Last year, we had a 2 or 3 week block of European Geography. It was difficult, as all geography blocks are for me! I have such a hard time making this block interesting! I mostly used Live Ed, which includes has a fairly lengthy European Geography book. I also used Eugene Schwartz’s lectures. For spelling during this block, she learned the capitals of Europe (30 of them each week) by writing flashcards. We practiced each day, and at the end of the week I would give her a quiz. I gave her the country names, and she wrote the capitals. 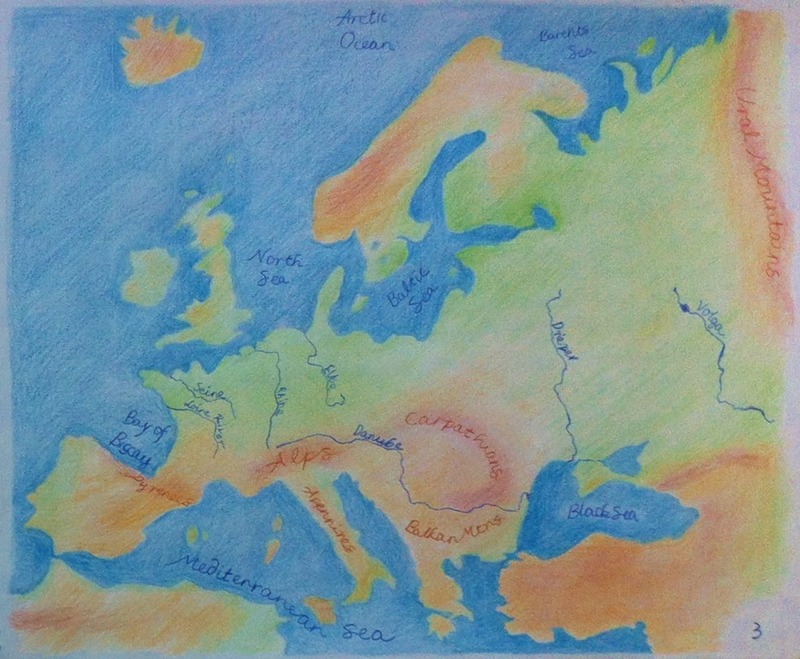 The first pages of the book include a physical map of Europe. 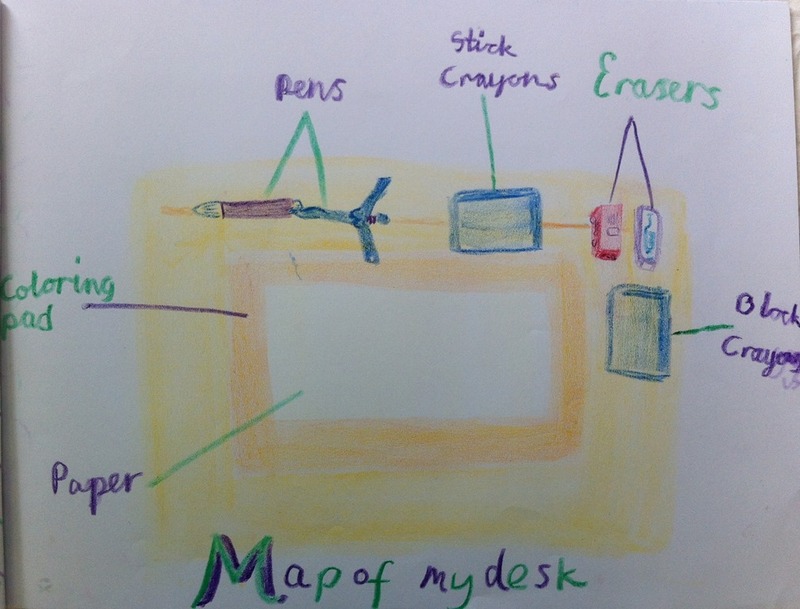 This map was done using the grid method, and it took her many days to complete. Next we spent a couple of days comparing the Mediterranean Sea and the North Sea. What are these seas like? 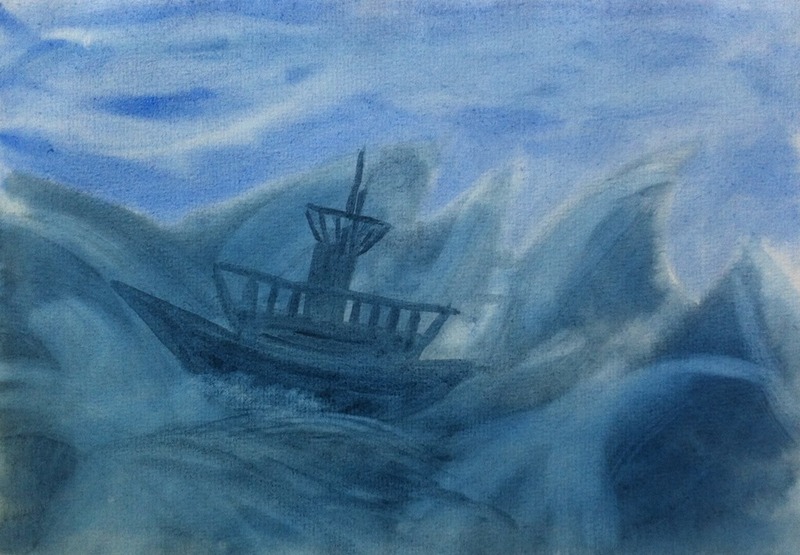 Well, the North Sea is notoriously rough, with storms appearing suddenly. It is grey, cold, and unpredictable. 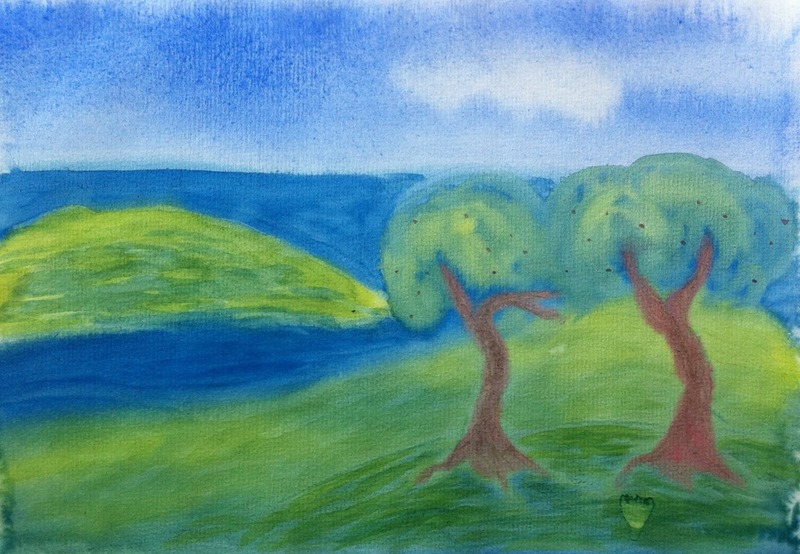 The Mediterranean Sea is surrounded by land, warm, brilliant blue-green, and mild. Then we went on to compare the lands around these seas, and the people living here. In the north, we have the Vikings, with their grand explorations, their rough nature, much like the sea. Around the Mediterranean, we find cultures of war too, but we also find something different, especially in classical culture. There is an emphasis on art and philosophy. We spent a lot of time learning about the agriculture and fishing differences of these two regions. I got the idea of comparing and contrasting different regions from Eugene Schwartz’s lectures. 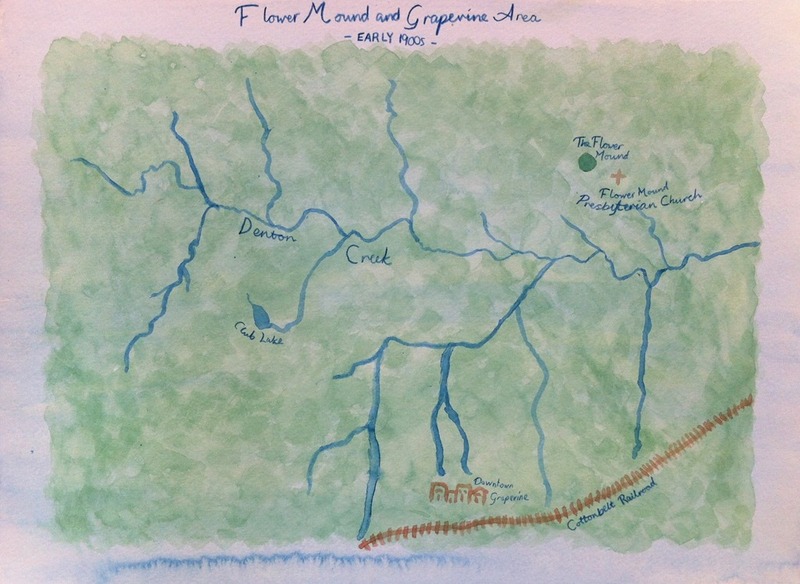 We also compared the mountain regions with the plains. We looked at the Swiss Alps, and the country of Switzerland. 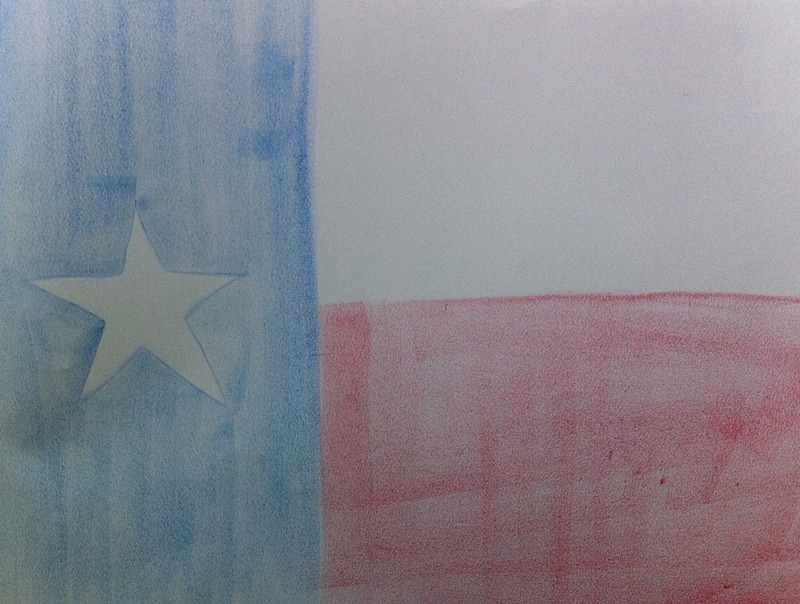 Historically, this country was characterized by their independent spirit. The Swiss were separated by the Alps, and their towns, called cantons, were run very locally. There was very little for the federal government to do. This is starting to change in recent years, but it is a very interesting effect in mountainous regions. On the plains, we find something quite different. 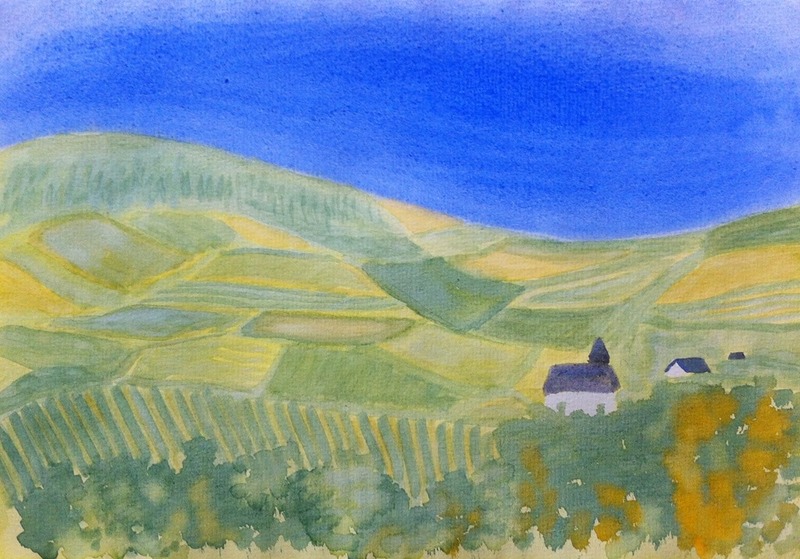 I used the French countryside as the example. The French tend to conform more often than not. Have you ever tried to substitute potatoes for a salad in a French restaurant? Not easy… the French expect people to conform, so this is not something that would be allowed. These comparisons of mountain people and plains people can be generalizations for other places too, but the French and Swiss are good examples. These attitudes are probably changing as our world becomes more connected, but still… how our surroundings affect us is an interesting idea. 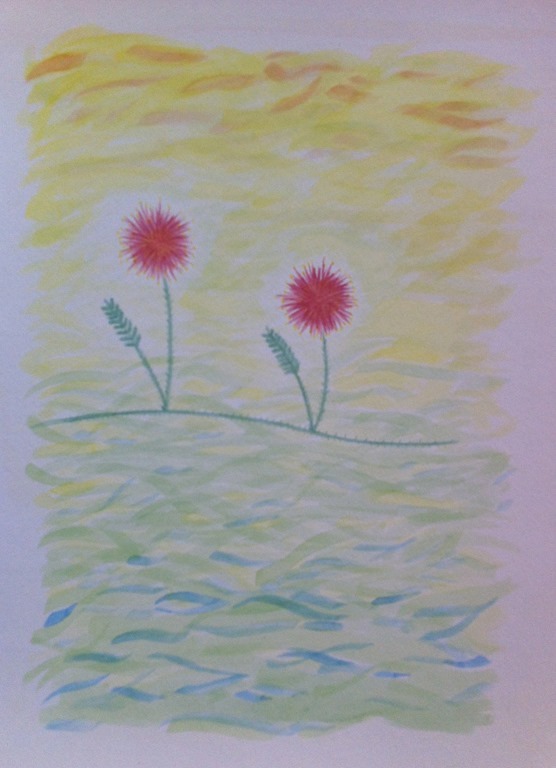 We did dry paintings of the Matterhorn (inspired by a Live Ed painting), and the French plains, which I designed. 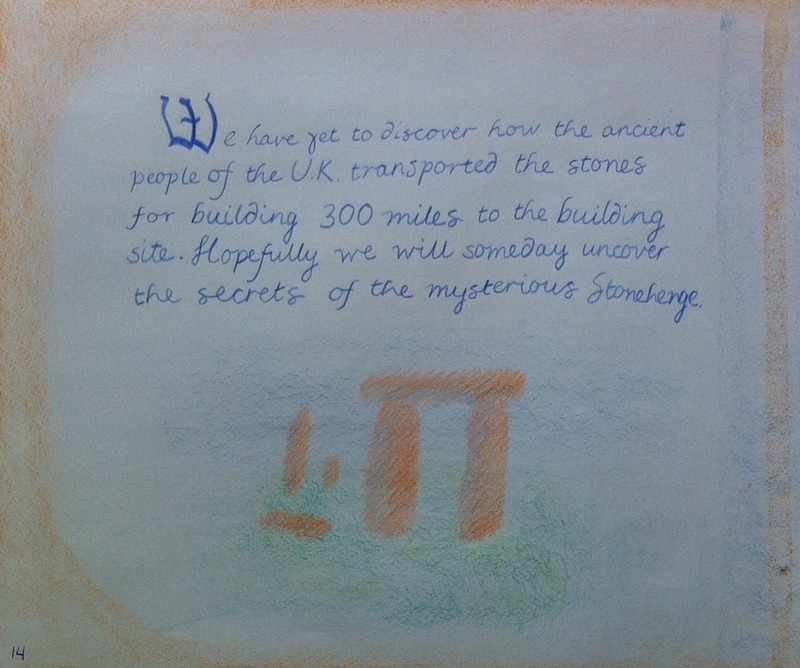 We talked about Great Britain and Stonehenge… I believe I used information provided by Live Ed. The painting is from Live Ed as well. 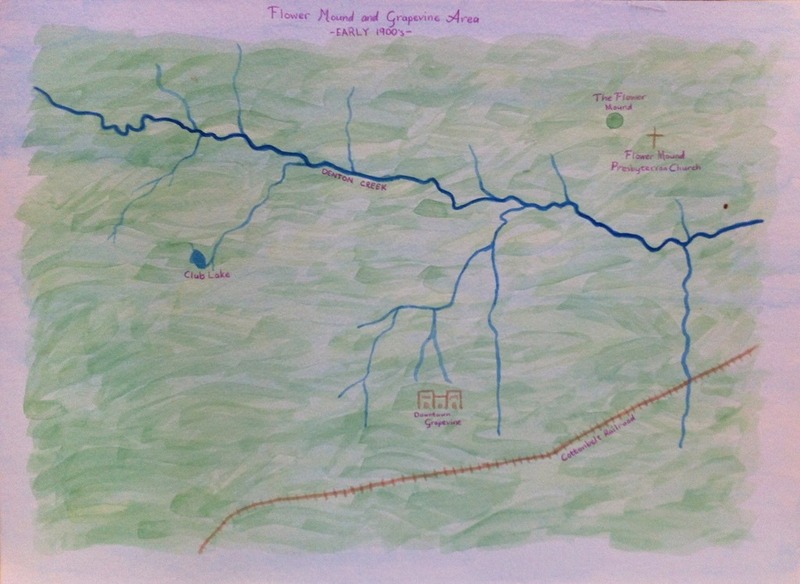 Here is another detail of her map. 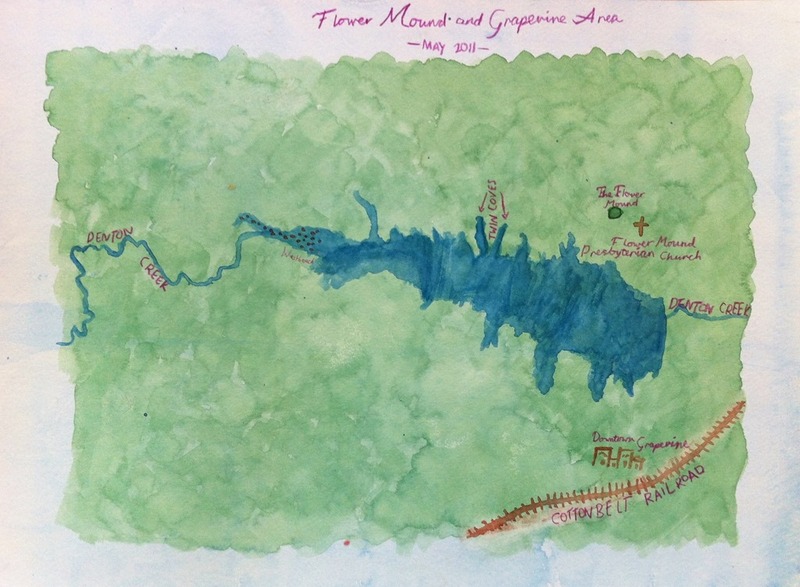 We had a European map, and we would have little games where I would name the seas, rivers, or mountain ranges, and she would find them. Live Ed provided a lot of information about these places, but you could also probably find it in the encyclopedia. This post details two geography blocks. 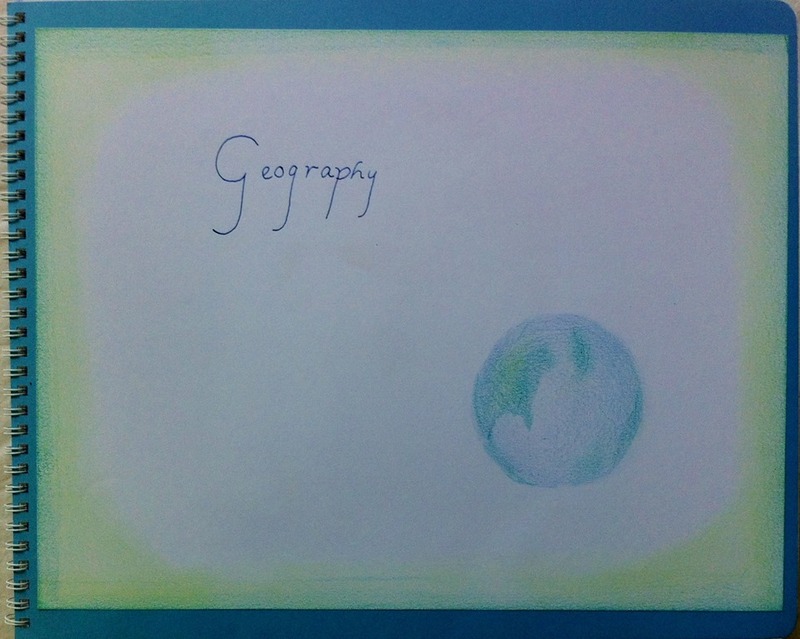 The first, was the second geography block of my daughter’s fourth grade year. 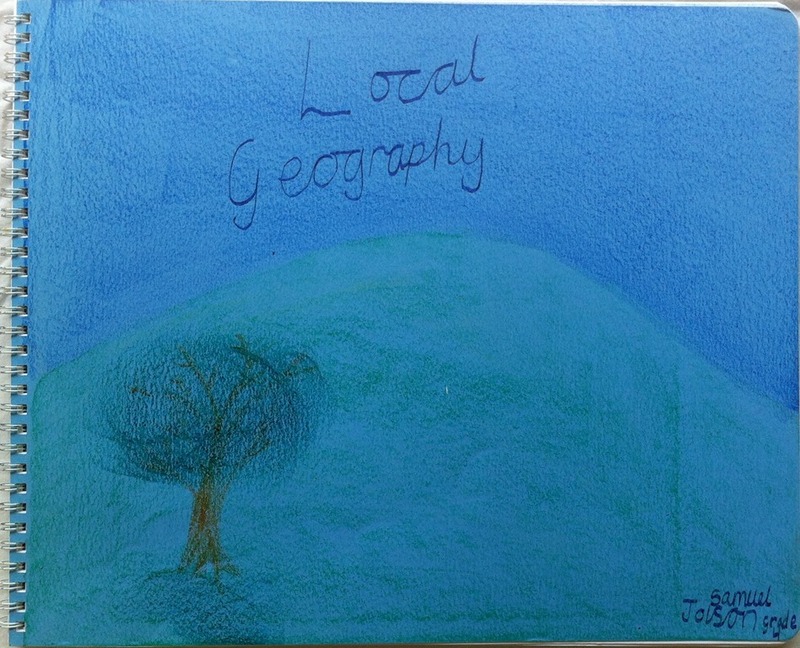 The second part of the post will cover my son’s second geography block, done two years later than my daughter’s. Geez, I hope that makes sense. 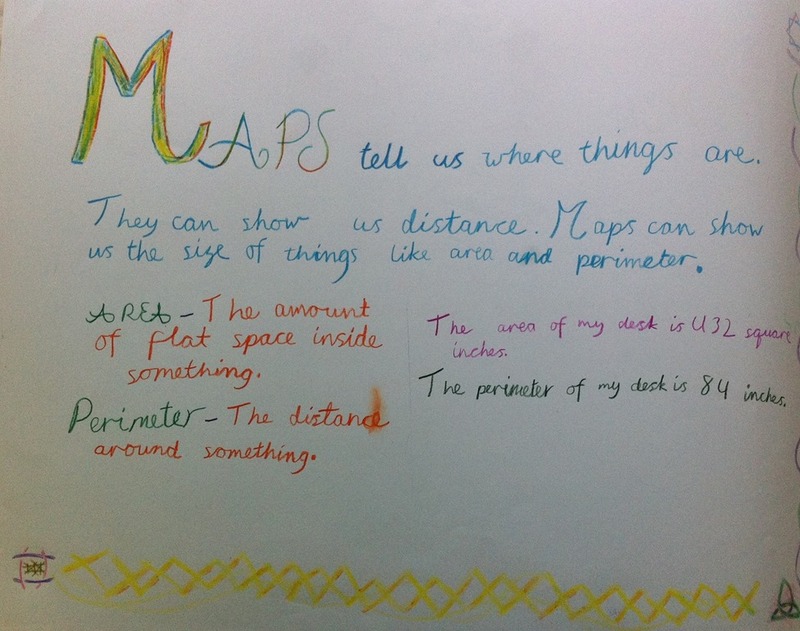 You can also check out my post on our first local geography blocks. 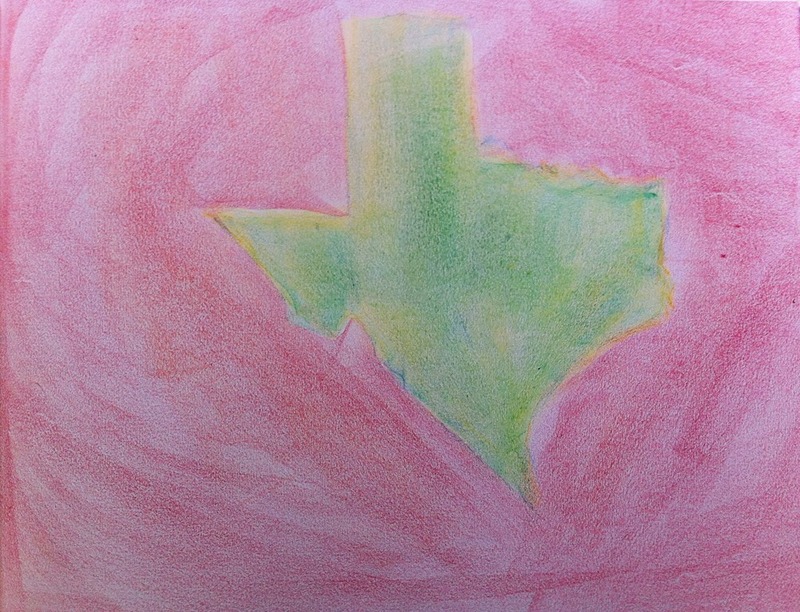 Our second local geography block focused on our local county, and the great state of Texas. 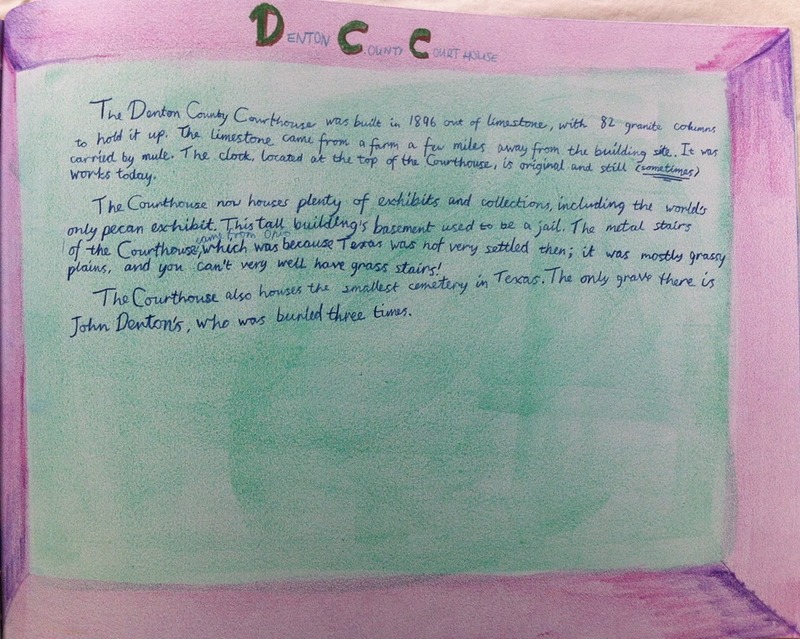 We had a guided tour of our county courthouse where we learned SO much about our local county history, about the materials used to build the historic courthouse and where they were quarried or acquired. 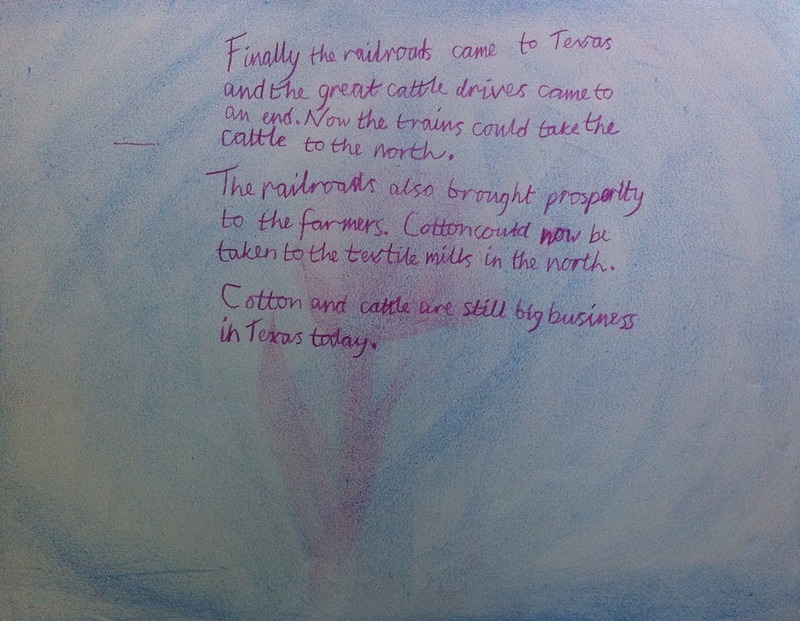 We talked about cotton and the railroads, and the effect they had on our developing community. We took a trip on a local historical railroad, visited a local historical farm and picked cotton. We brought our cotton home and found out just how difficult it is to pick out those seeds by hand! 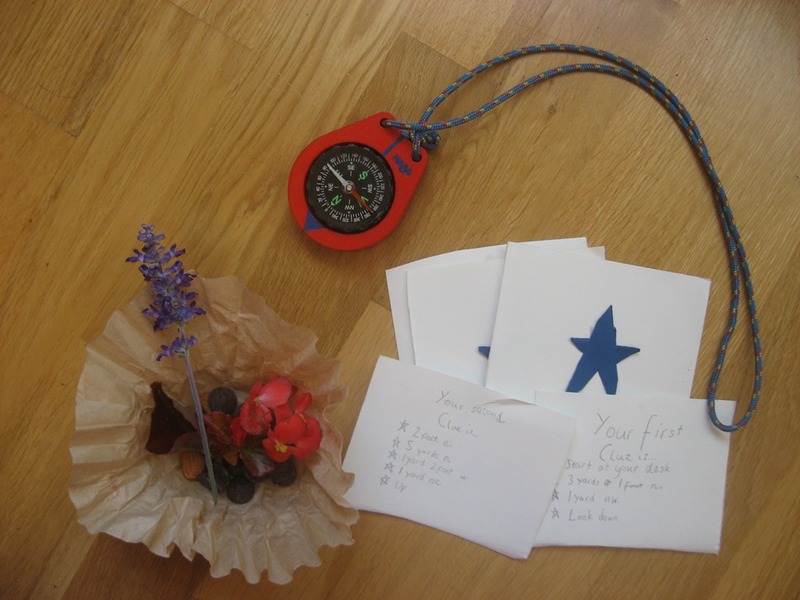 At some point in the block, we talked about orienteering. 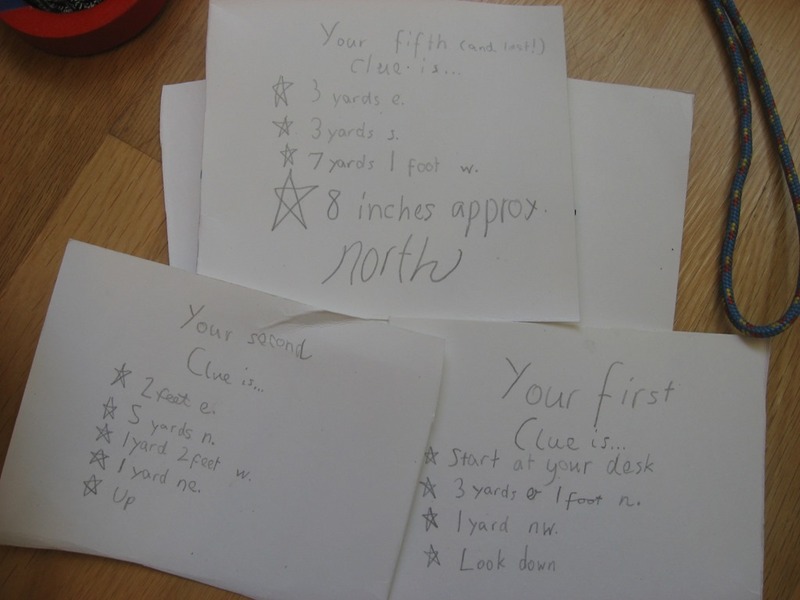 I had her make me a treasure hunt around the house, which she thought was a great way to get out of drawing and writing for the day! My son would have thought this to be torture, but my daughter loved it. So she made me this fabulous hunt, and at the end I found flowers and chocolate beautifully wrapped in a coffee filter. Perfect treasure! 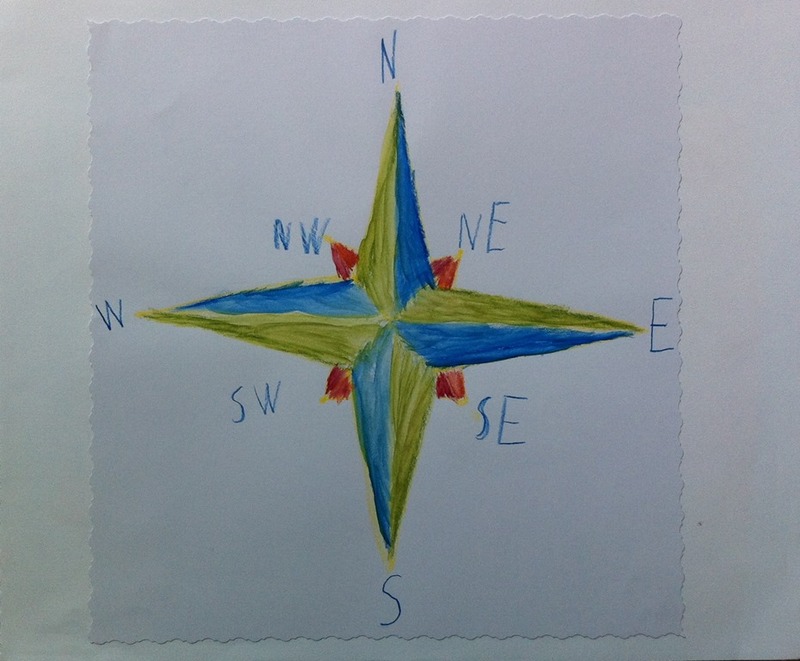 We were blessed last year to have a man volunteer at our local nature center to teach our homeschooling students the art and skill of orienteering. It was wonderful! 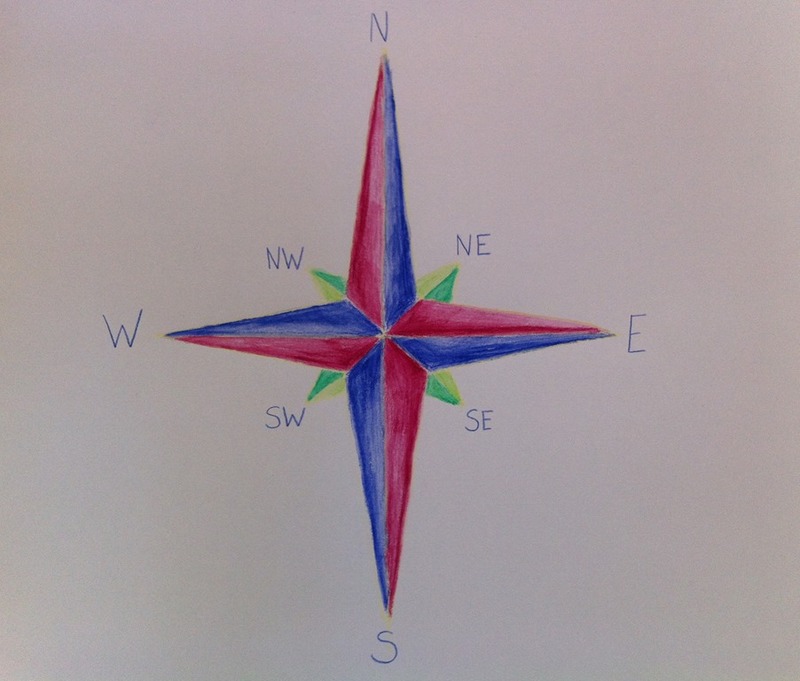 We learned how to orient ourselves in the wilderness with and without a compass. 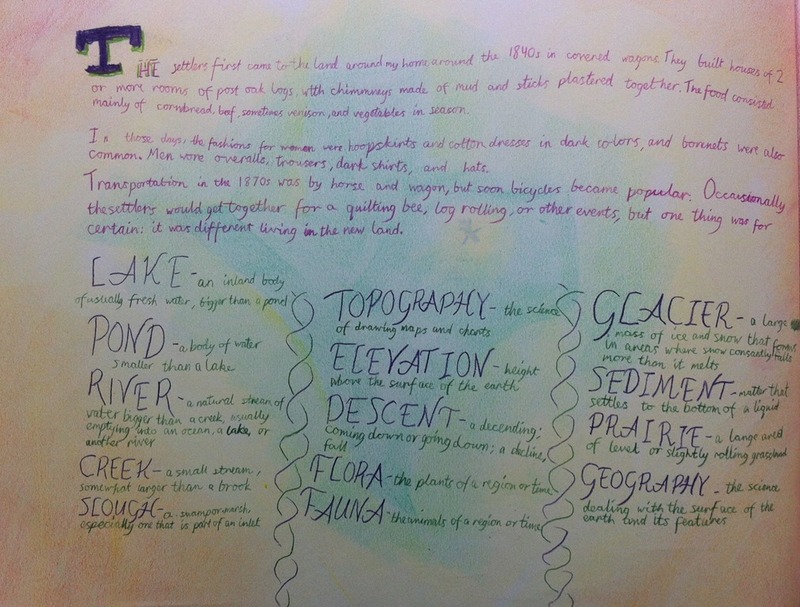 This enhanced our geography studies beautifully! Plus, it was loads of fun! 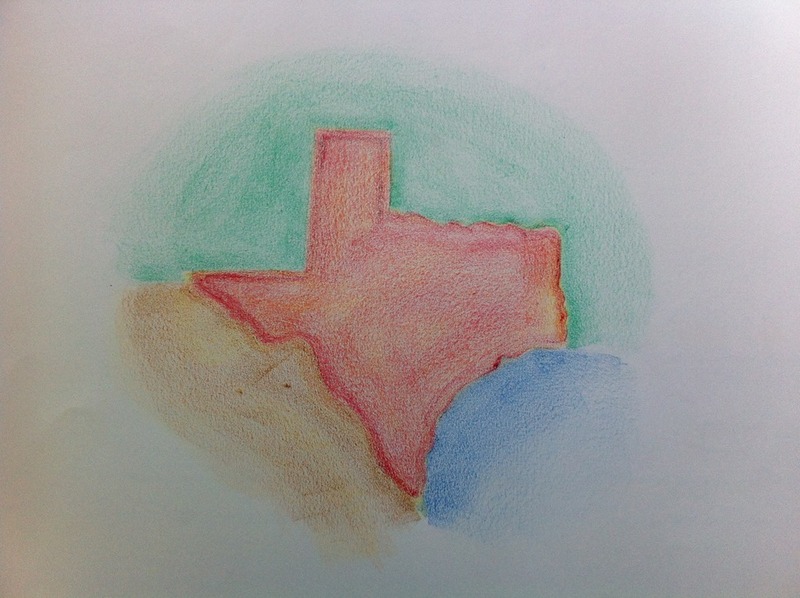 We drew a map of Texas, and we learned about some of the different regions… the plains, the mountains, the coast, etc. 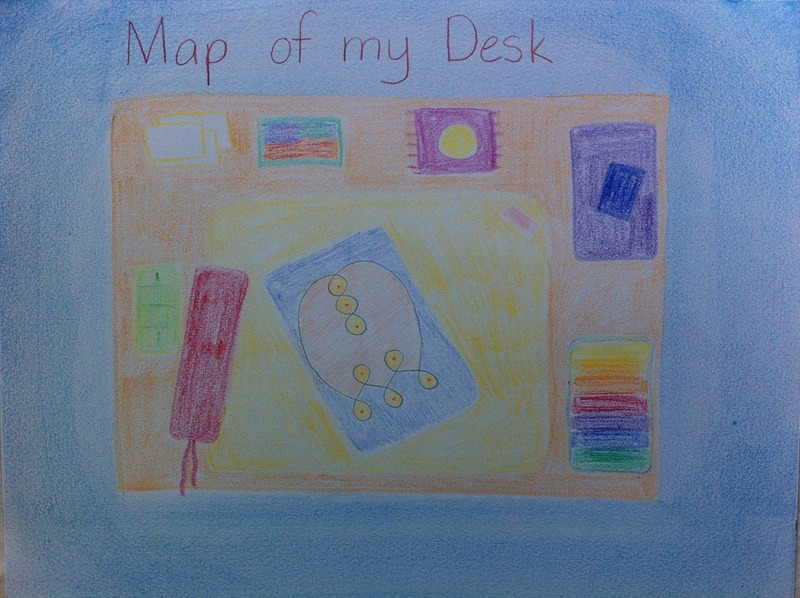 We talked about regions that we have travelled through and what they are like, and I showed him picture of places we have not seen in person. 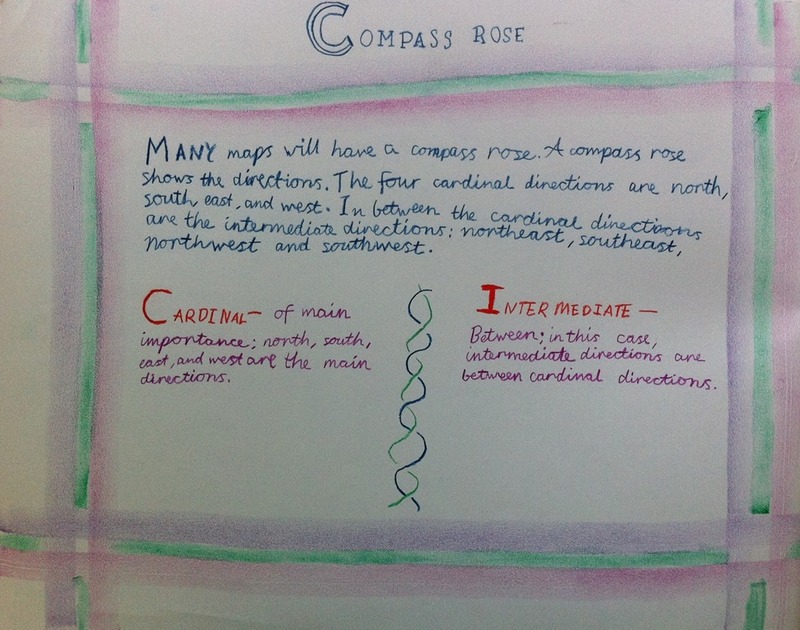 As we moved through the block, we filled in more details on the map. 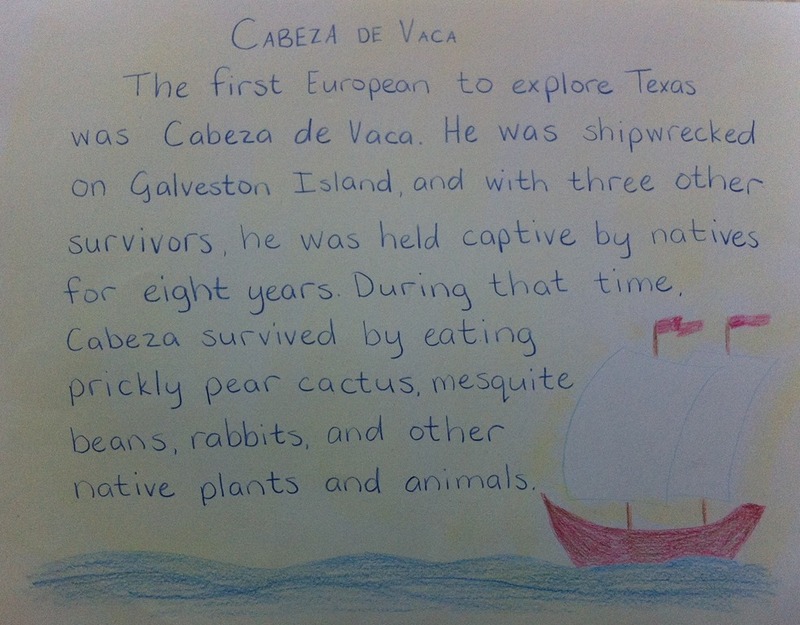 I found a great book that told the story of Cabeza de Vaca exploring Texas in the 1500’s: Explorers in Early Texas. 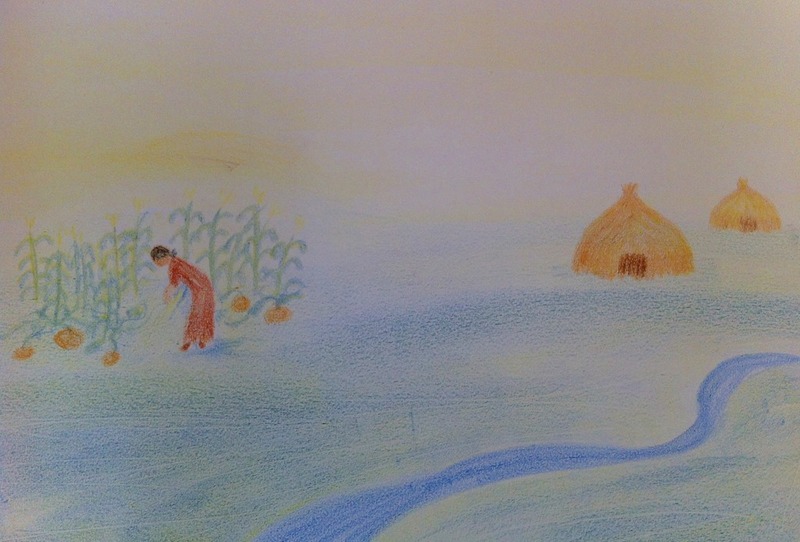 He was shipwrecked near Corpus Christi, and spent eight years as an Indian slave, living off the land, and trying to find his way home. 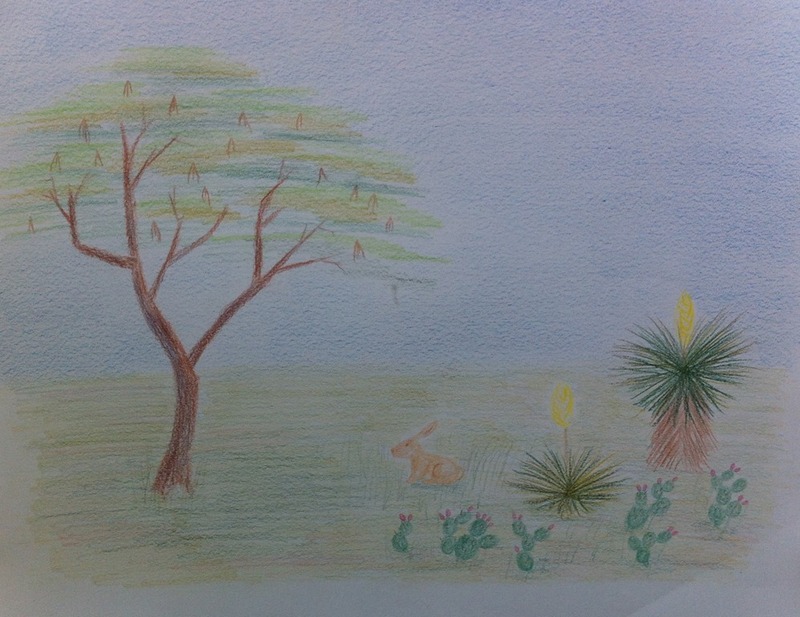 The story is wonderfully told by Betsy Warren in her book, giving details of his colorful and difficult travels, including the native plants and animals that kept him alive. 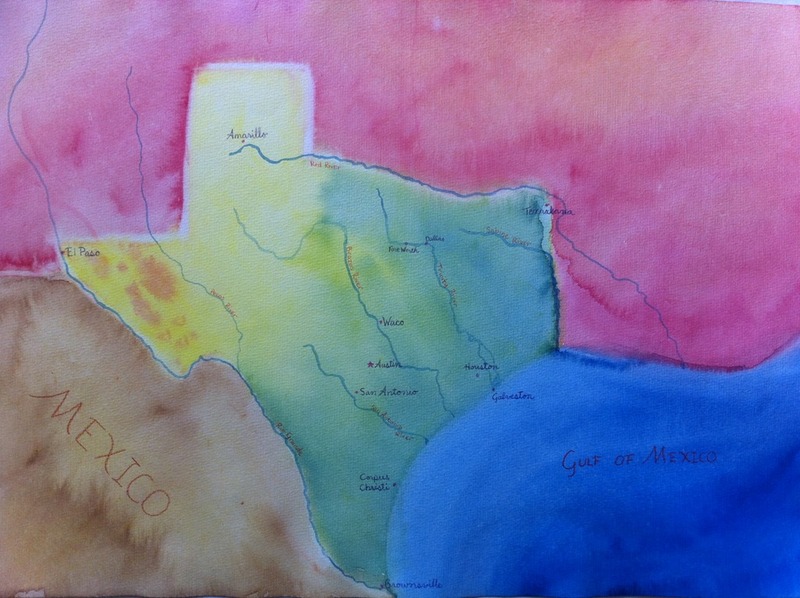 So after Cabeza de Vaca, more explorers came from Spain, looking for a land of gold and silver. The Spanish, fearing starvation on their journeys, brought cattle with them to feed the conquistadors. As they returned to Mexico, some cattle were abandoned or escaped to roam freely on the prairies for hundreds of years. When the settlers arrived in the 1800’s, the early ranchers rounded up the cattle to start building up the ranches. Tough men were needed to round up these wild cattle… thus, the Texas cowboy was born. 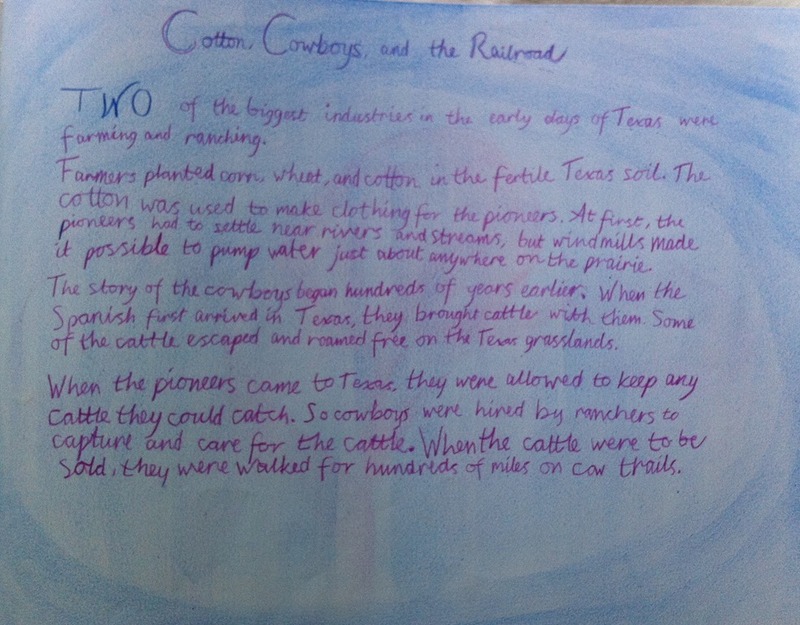 Another important aspect of the growth of our area was cotton. Since our climate is hot and dry in the summer, it is perfect for growing cotton, and lots of it! However, cotton is heavy, and it was difficult to transport by horse and wagon. 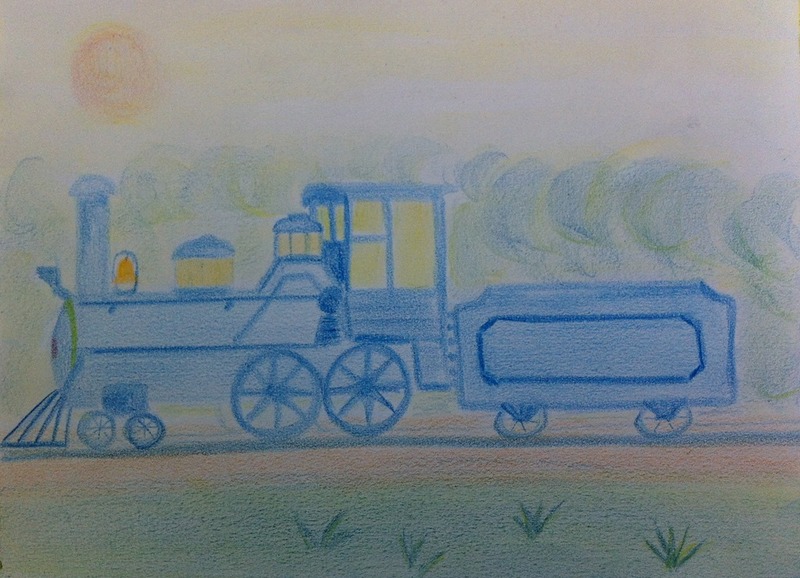 When the railroads came, the industry boomed, as the great bales of cotton could be transported to the textile mills in the northeast United States as well as London. This also spurred the growth of the cattle industry, since the development of barbed wire fencing made it increasingly difficult to transport the cattle to the north via the great cattle drives. And finally, we talked about oil. How it is harvested and processed, and the impact it has on our economy. 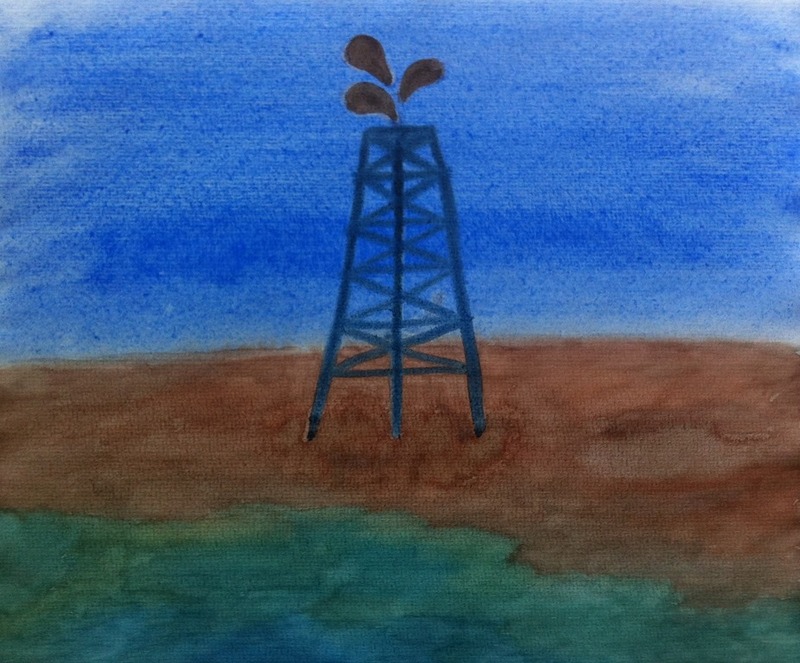 We looked at old photos of oil drills, photos of new ones, and remembered the old pumps we still see from the highway from time to time. 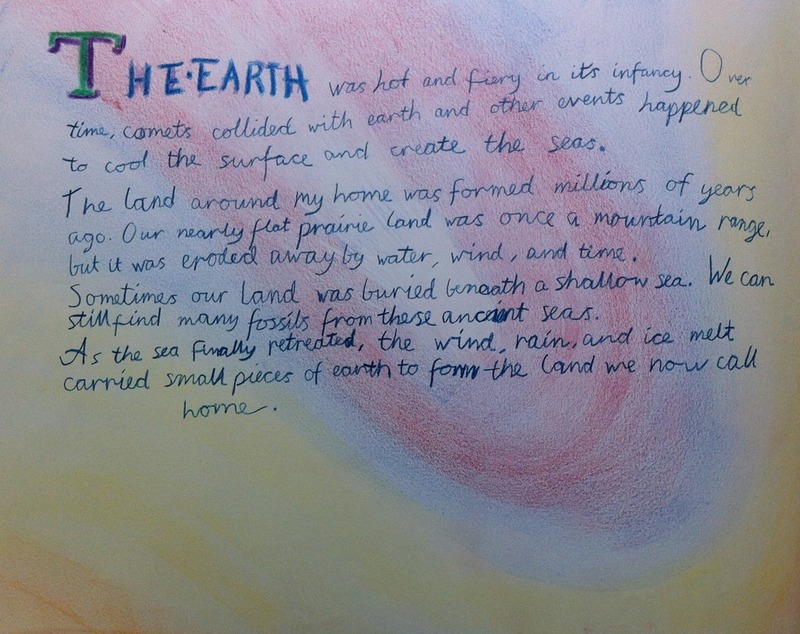 My son had listened in on our study of fossil fuels during my daughter’s geology lessons last year, so he was already somewhat familiar with the process.